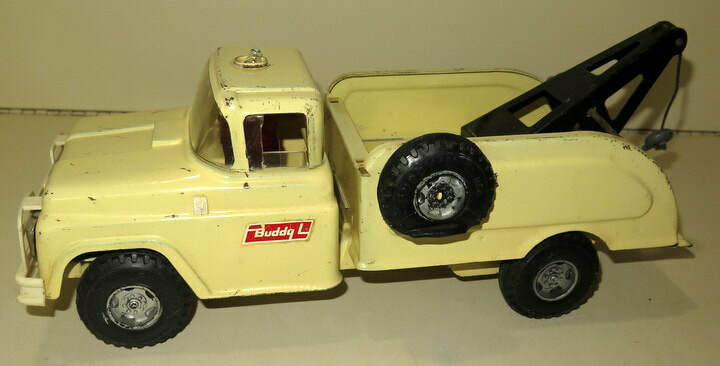 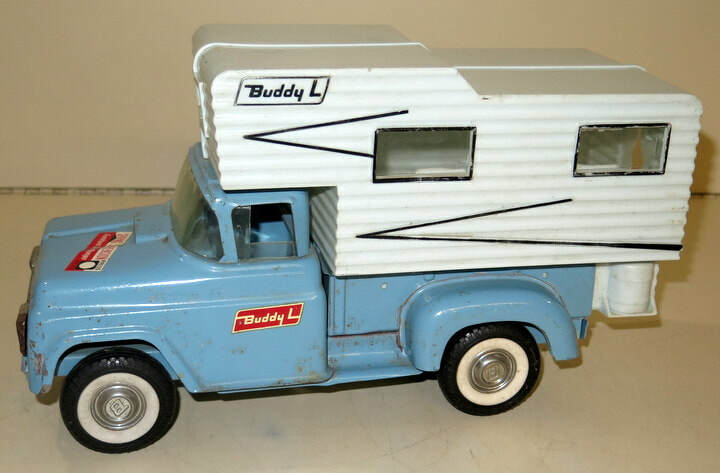 Saturday May 18th, 10:00 a.m.
*40+ Buddy L Trucks! 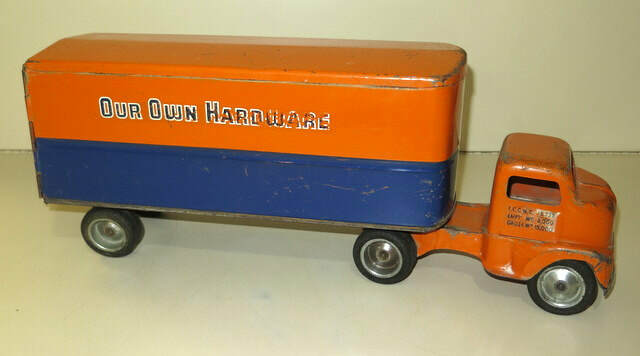 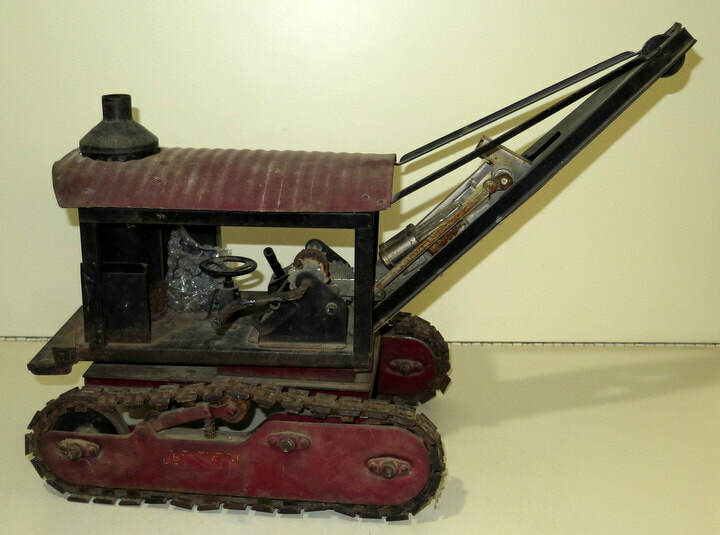 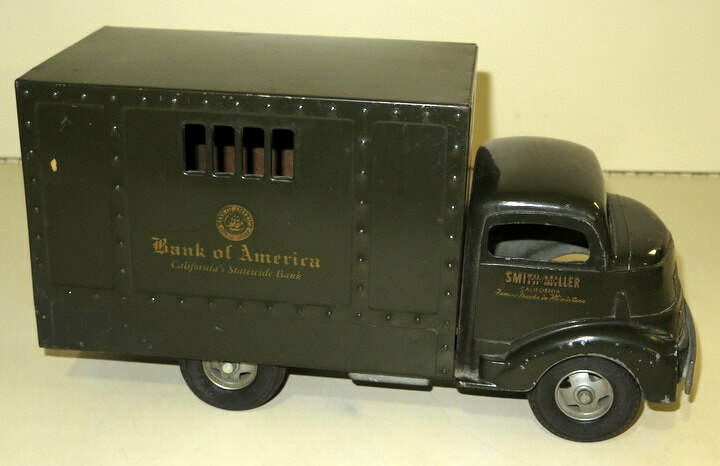 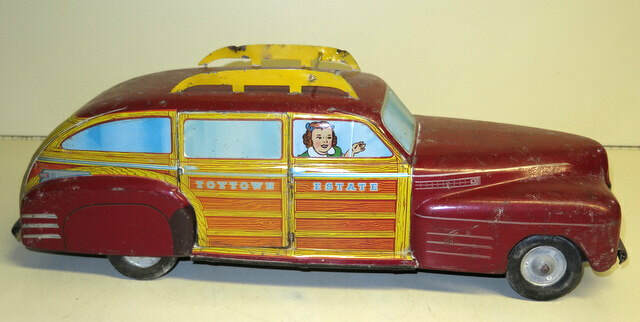 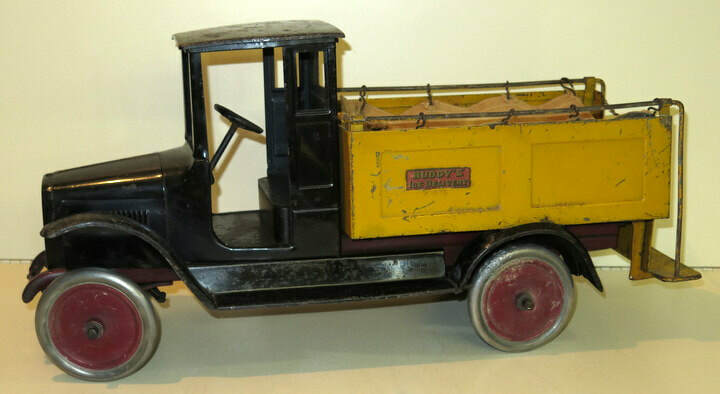 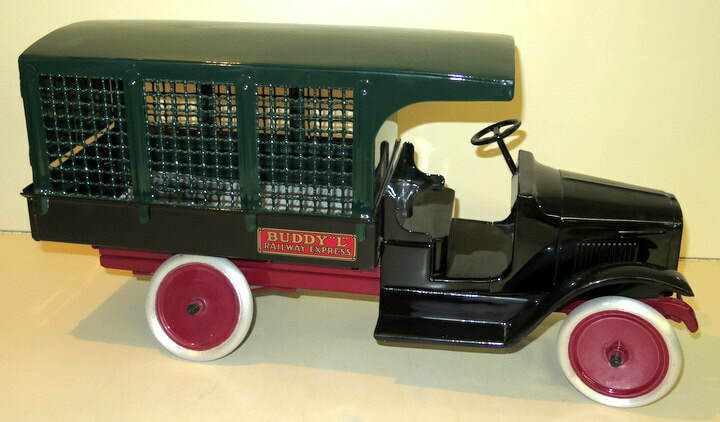 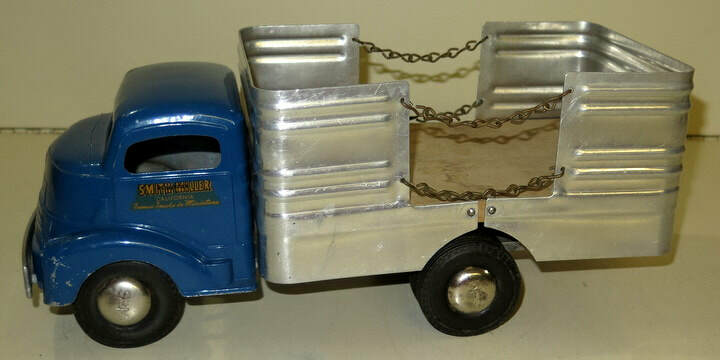 Includes several large 1920’s & 30’s Trucks—some rare & nice original examples! 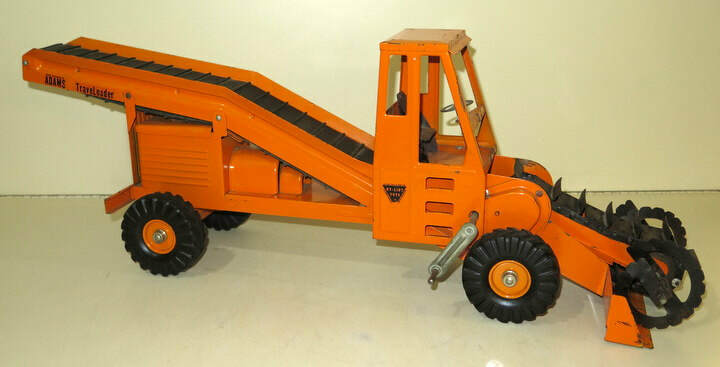 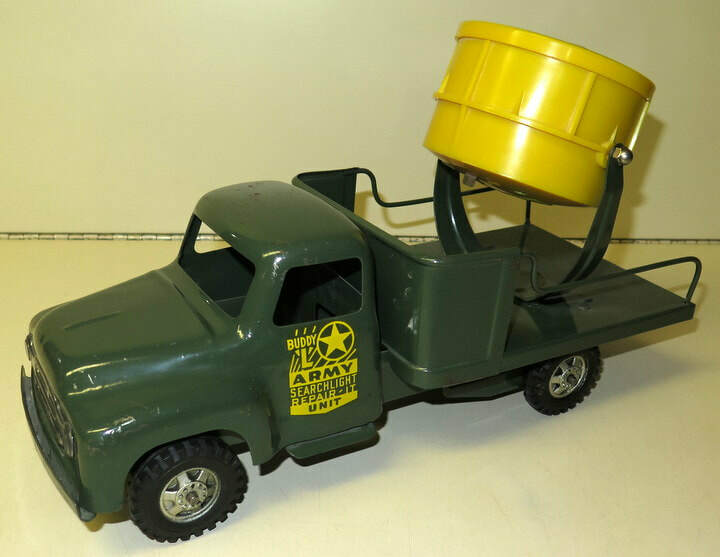 *100+ Tonka Trucks & Construction Toys! 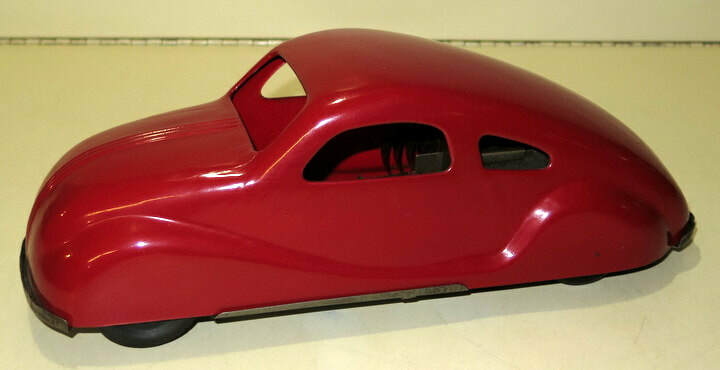 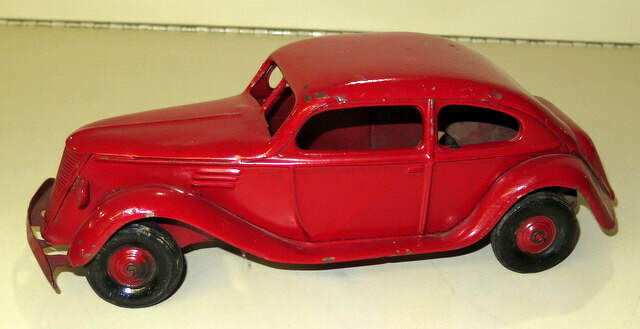 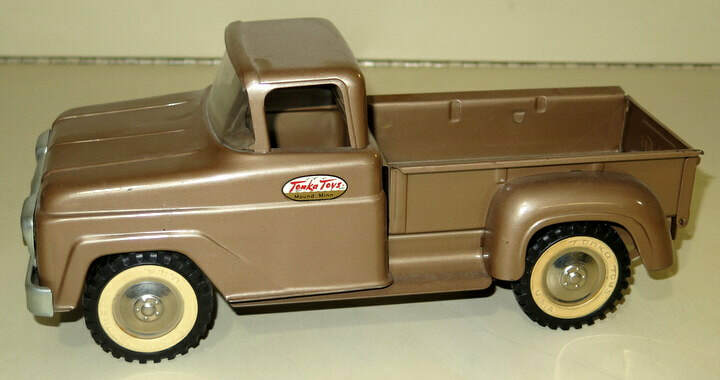 Includes Rare Private Label Semi Trucks, early first production toys & low production pieces, Livestock Trucks, Hi-Way Dept. 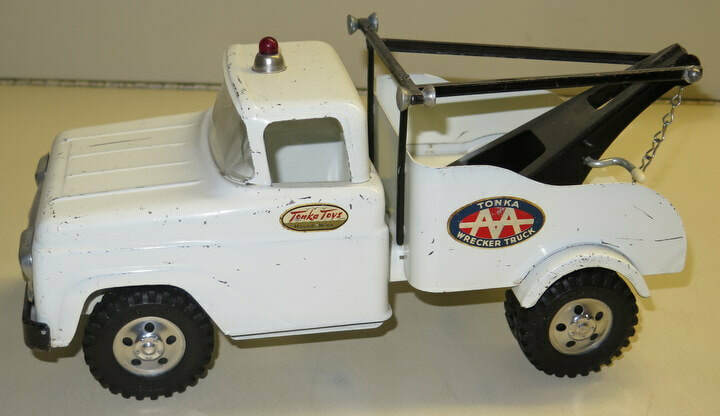 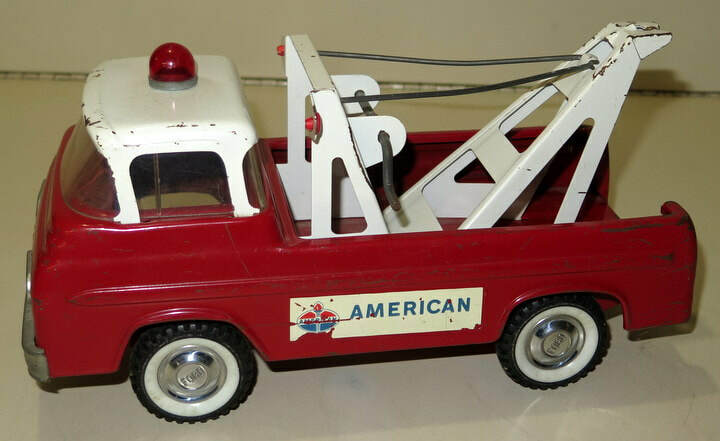 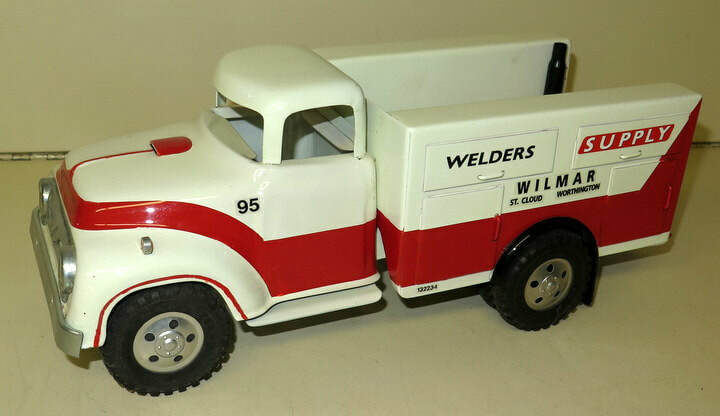 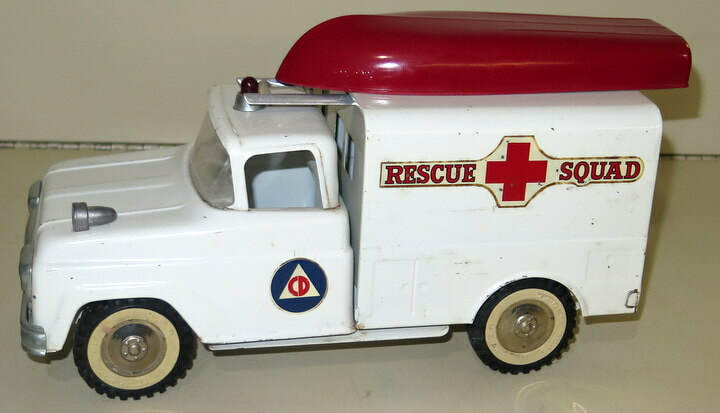 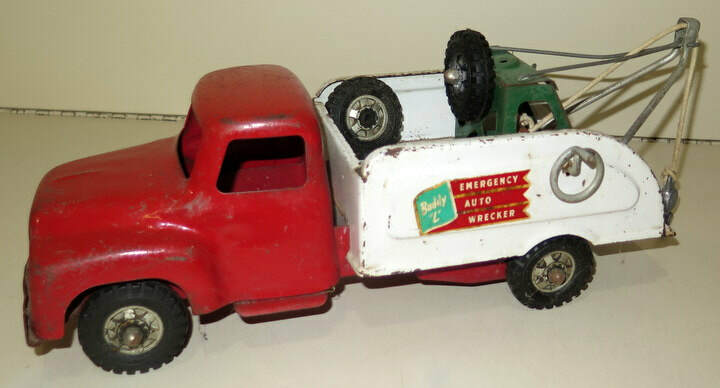 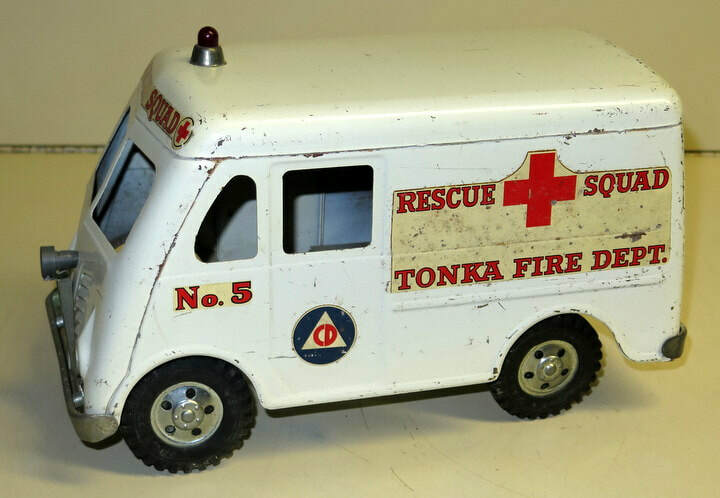 Trucks including original ’57 Big Mike & ’59 Land Rover, Fire Trucks, Tanker’s, Jeep’s, Army Trucks, Wreckers, Airline Tugs, Metro Vans, and much more! 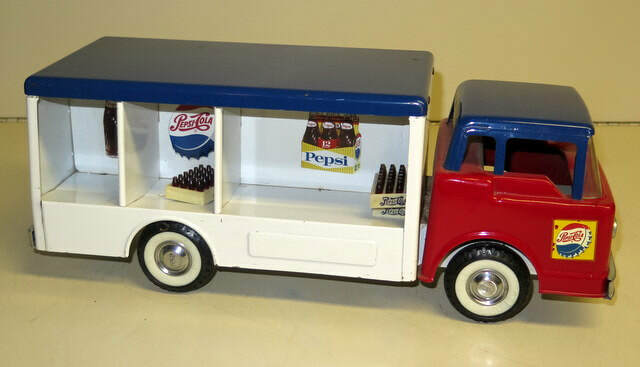 Some customized pieces too! 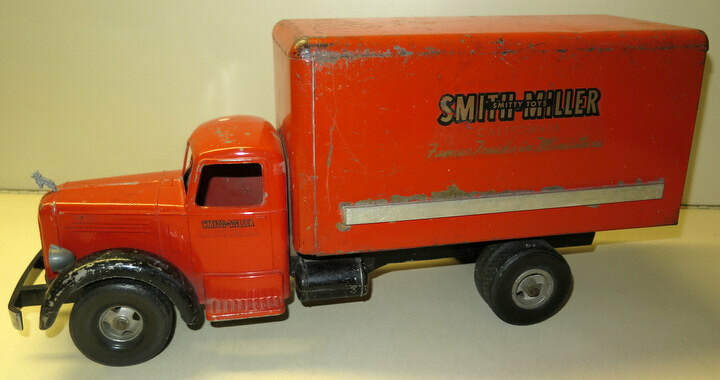 *Great Selection of Smith-Miller Trucks! 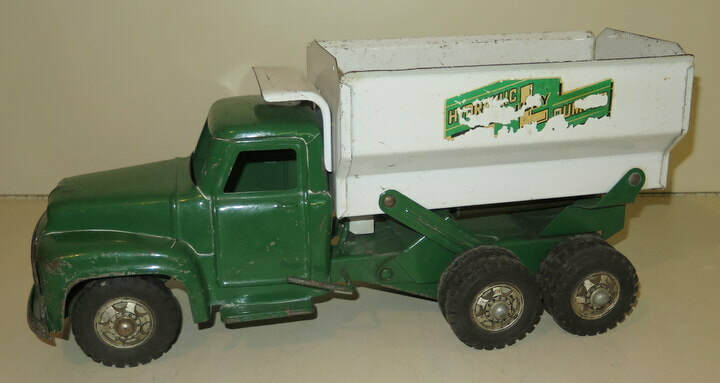 L-Mack’s, B-Mack’s, GMC COE’s, & others! 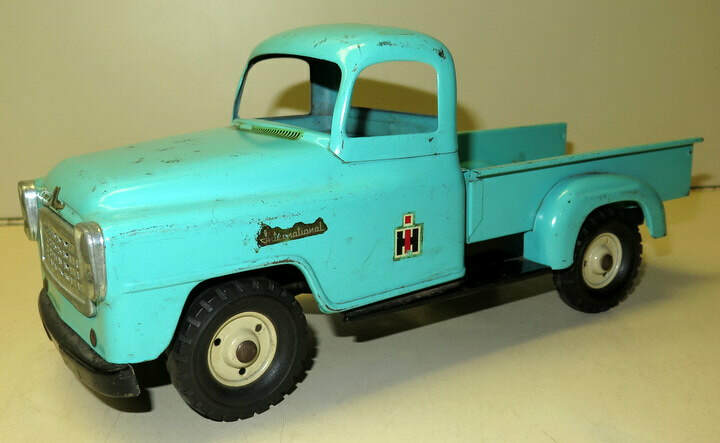 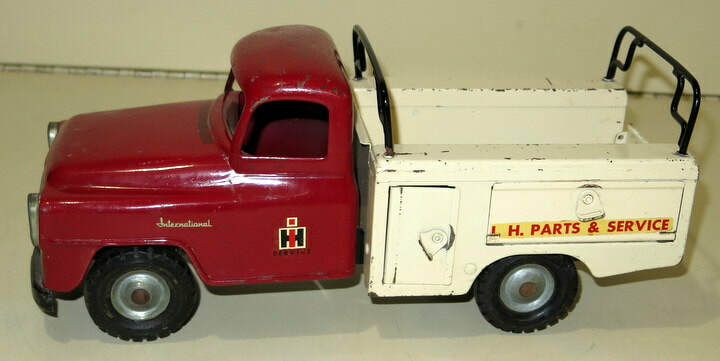 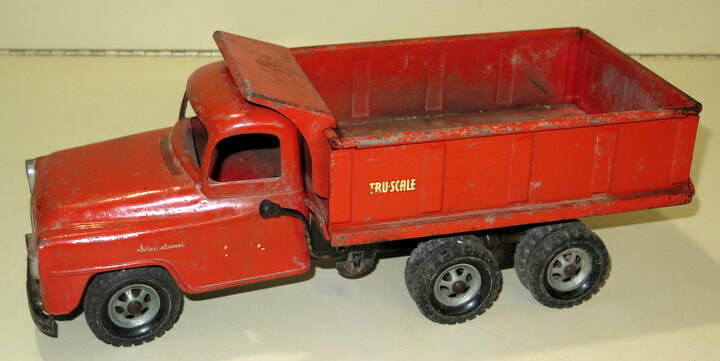 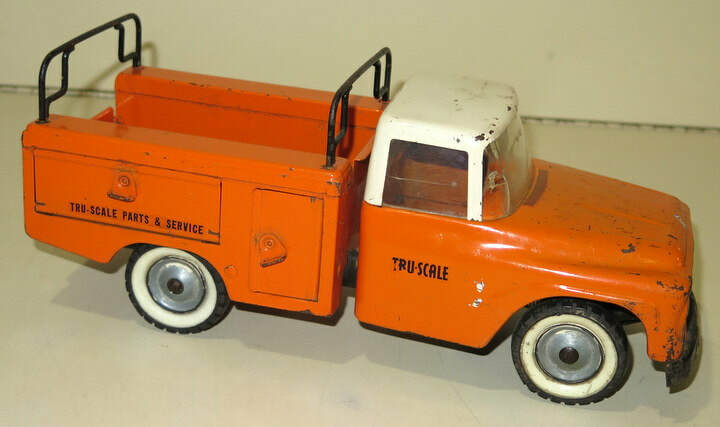 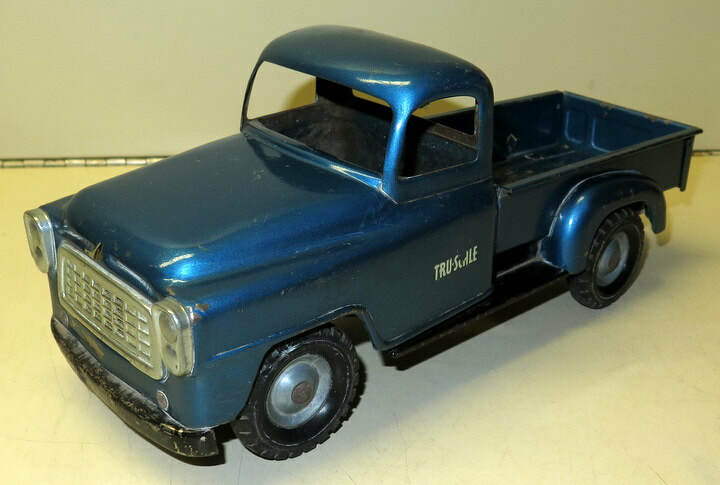 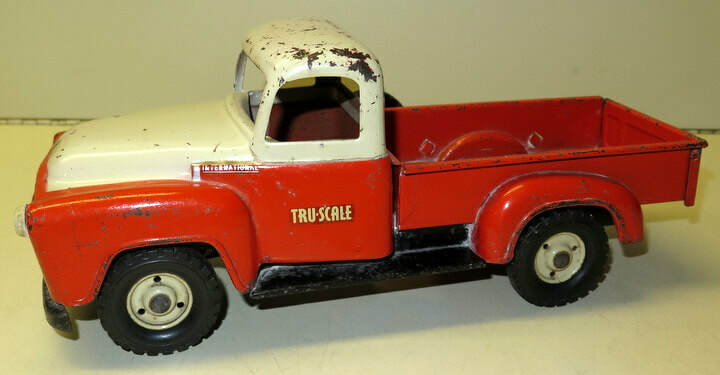 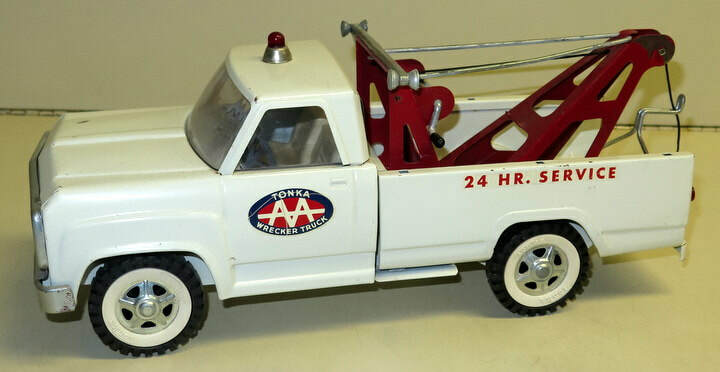 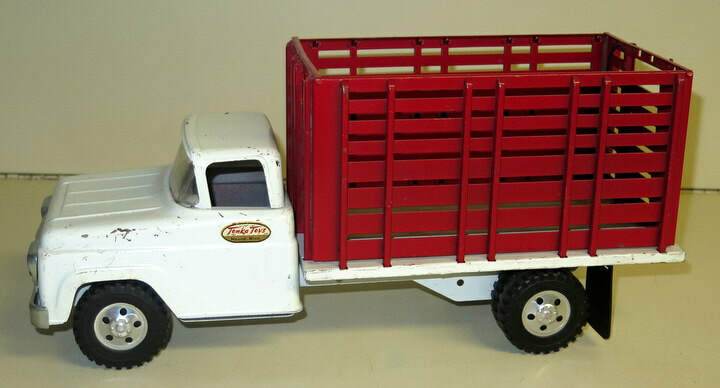 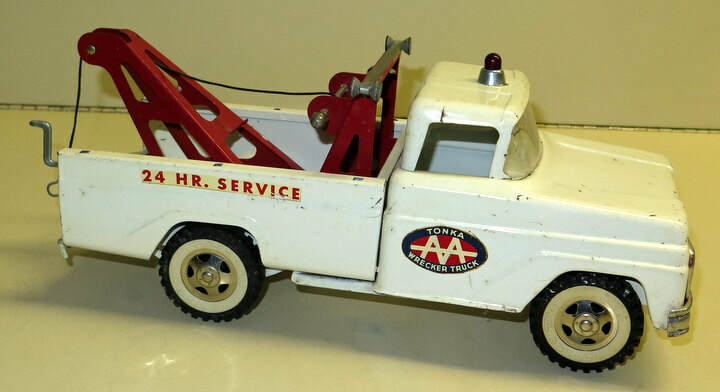 *IH Pickups, Scouts & Trucks by Eska, Tru-Scale & Ertl! 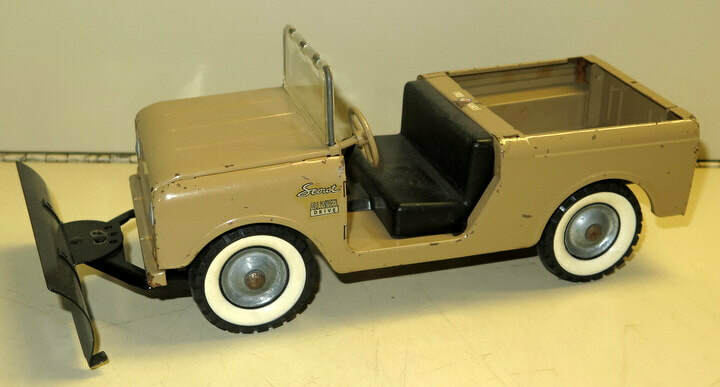 Includes a Super Scarce TAN SCOUT! 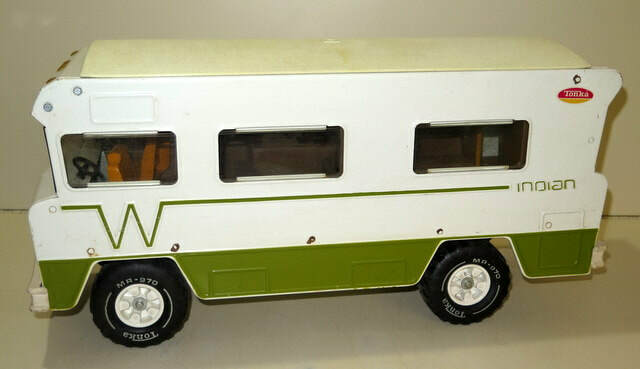 Only the 2nd one we have seen! 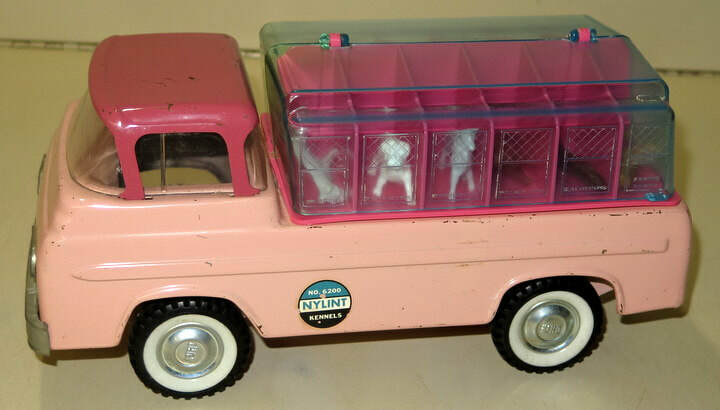 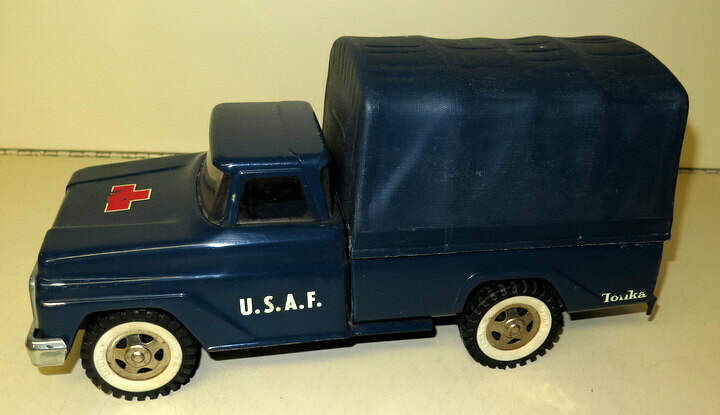 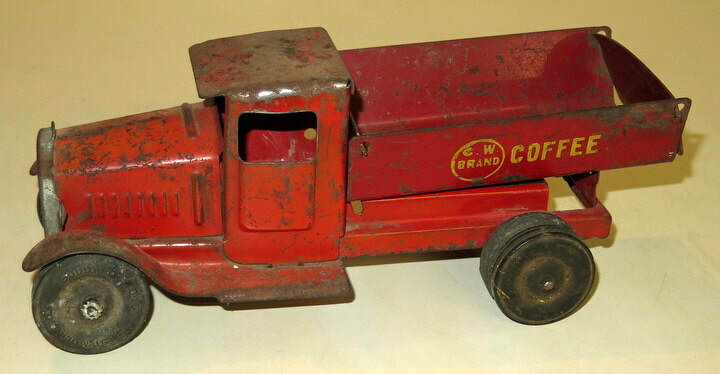 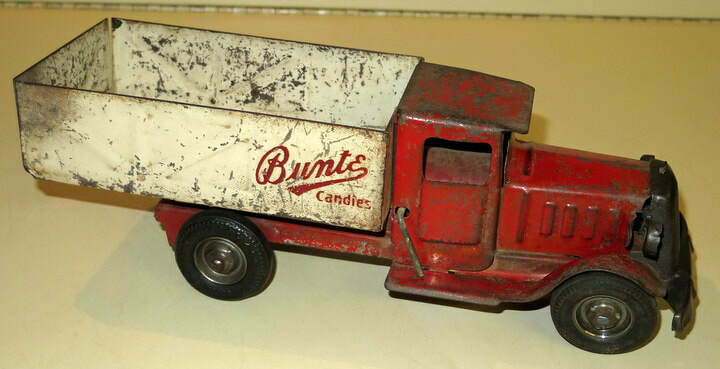 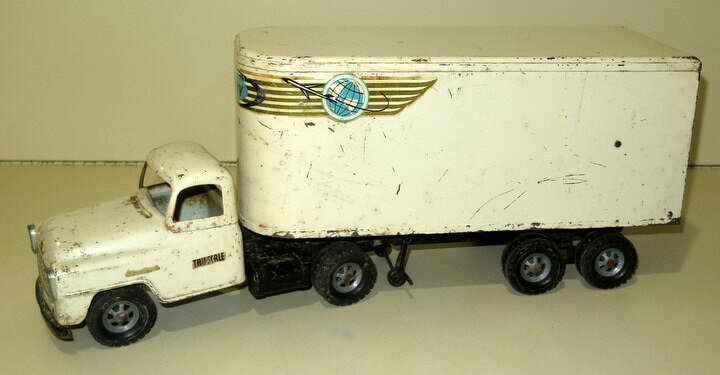 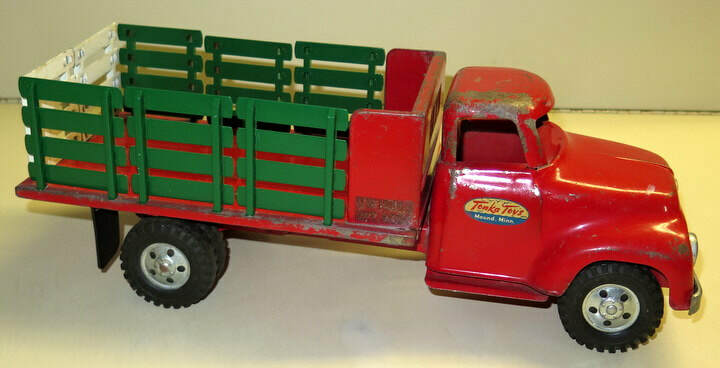 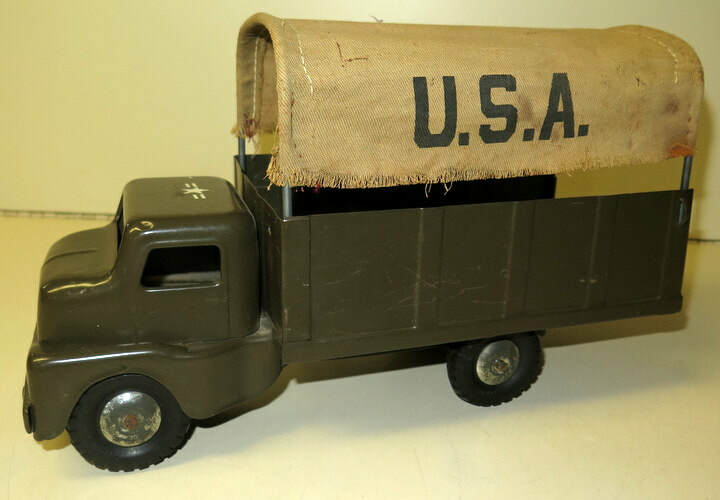 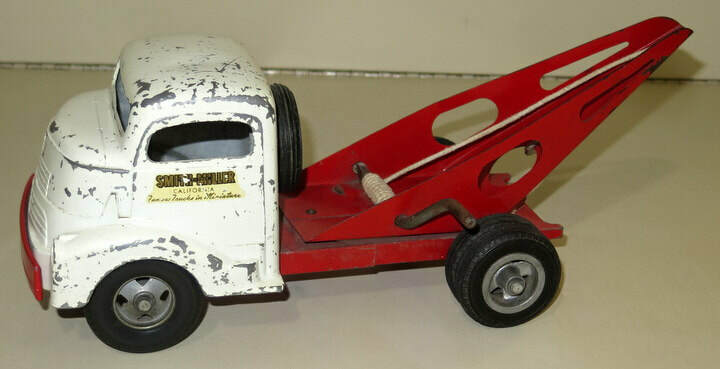 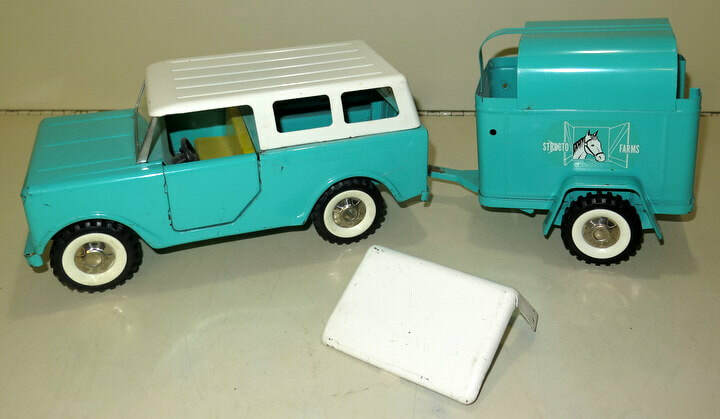 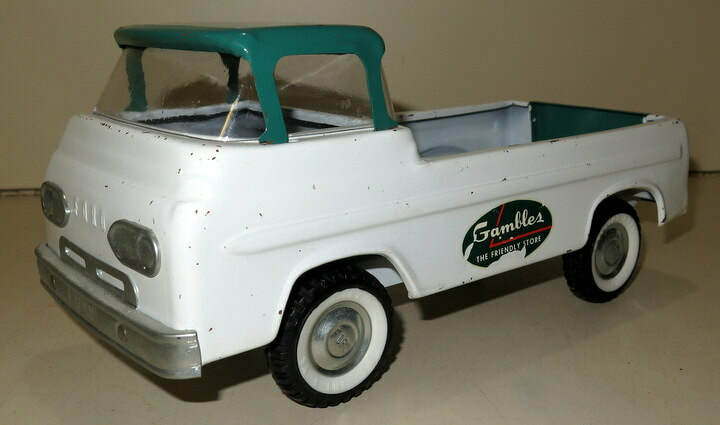 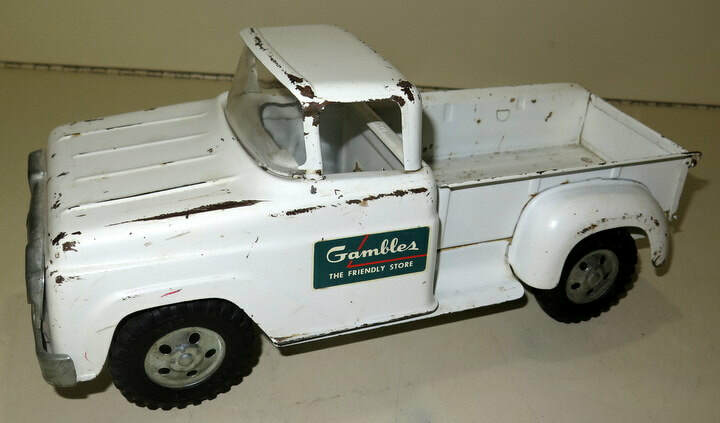 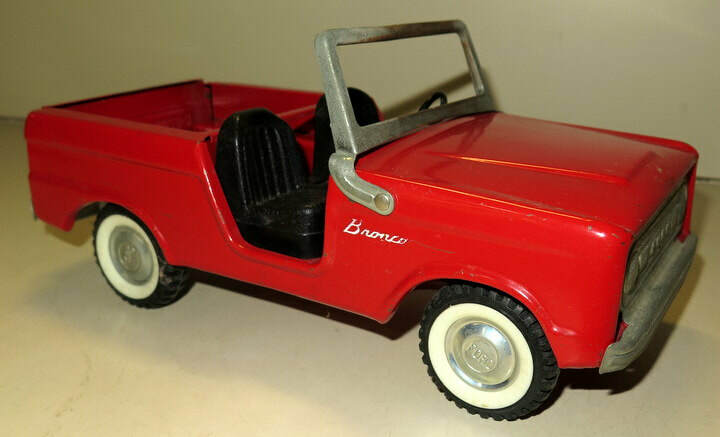 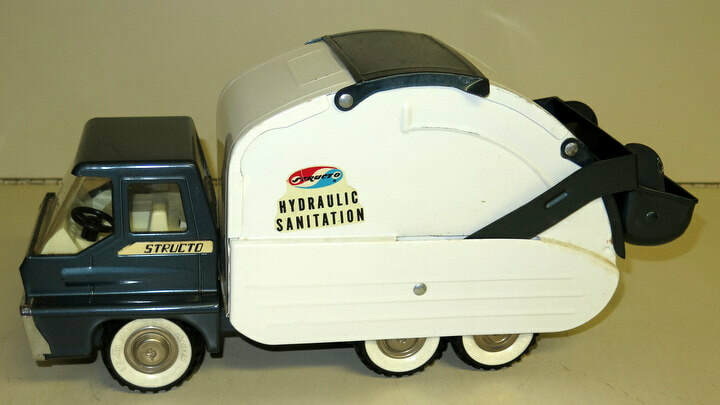 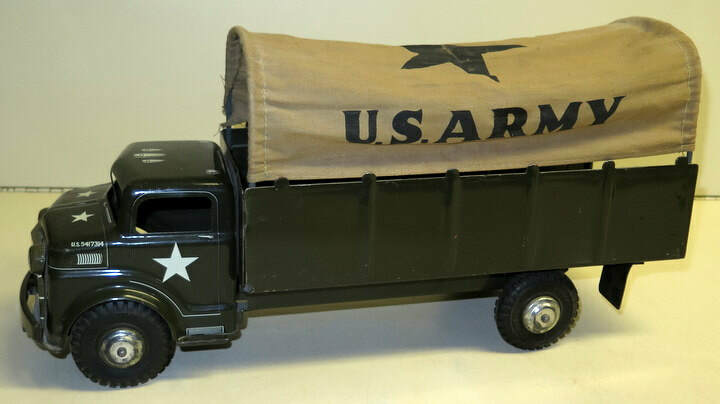 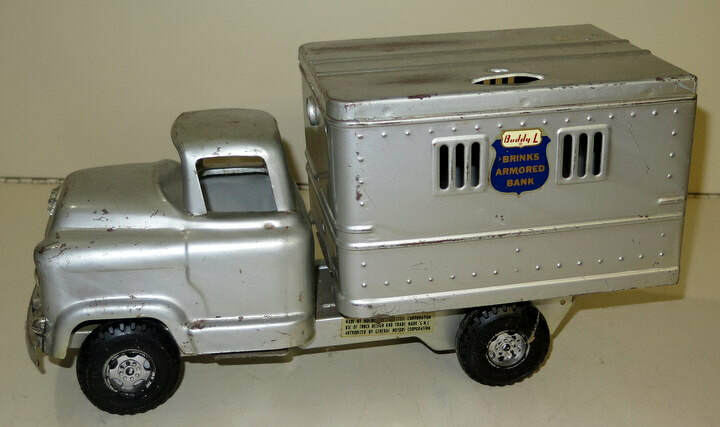 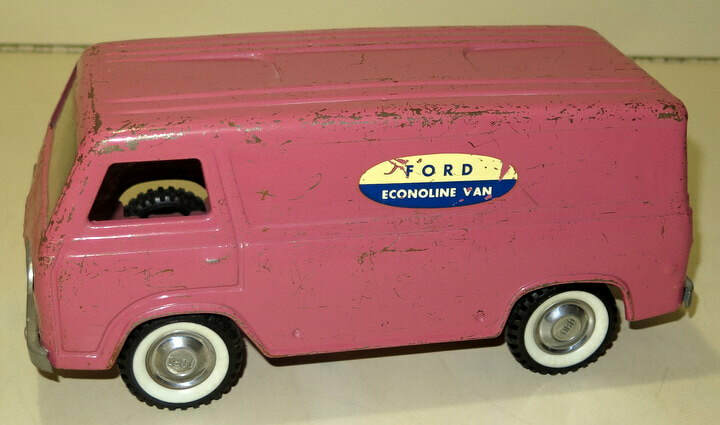 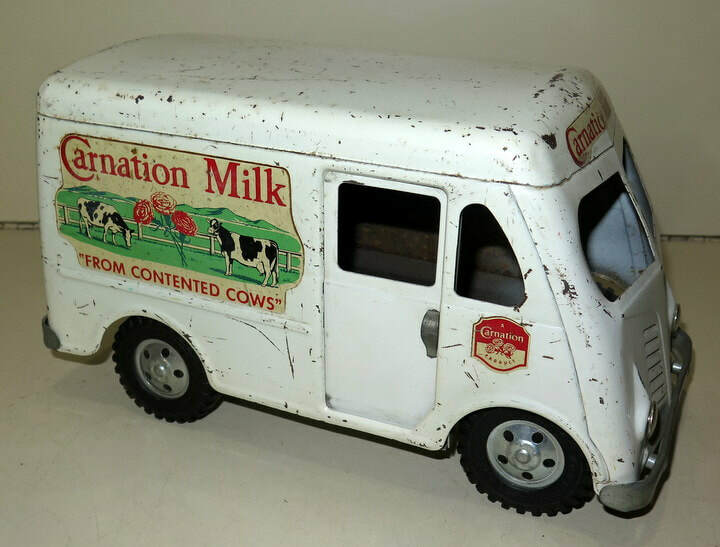 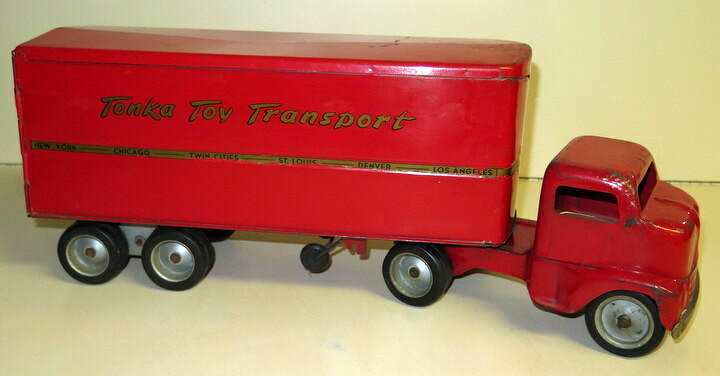 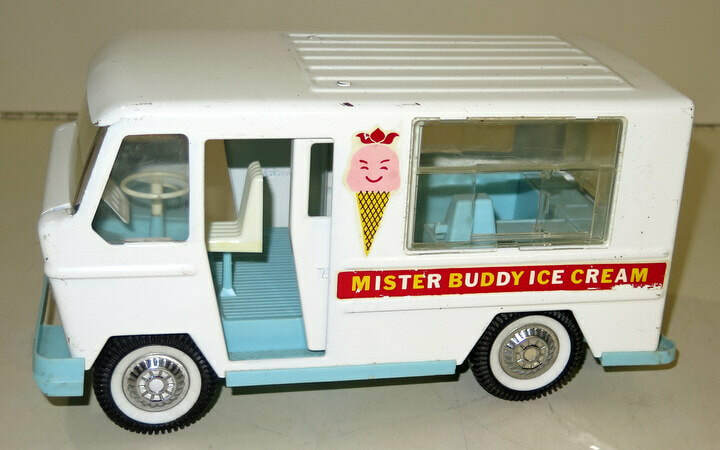 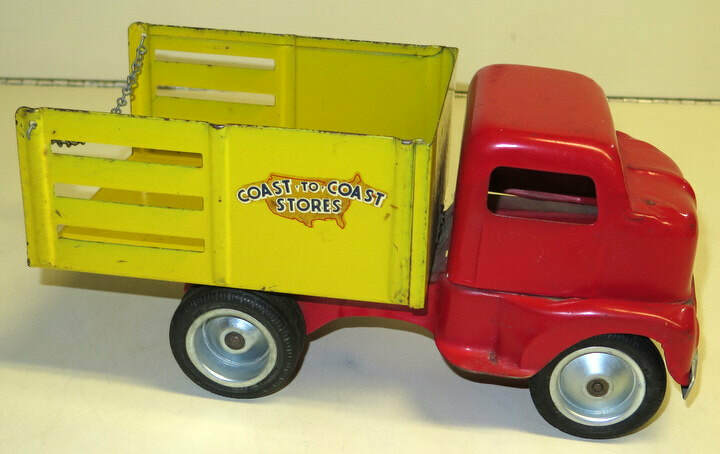 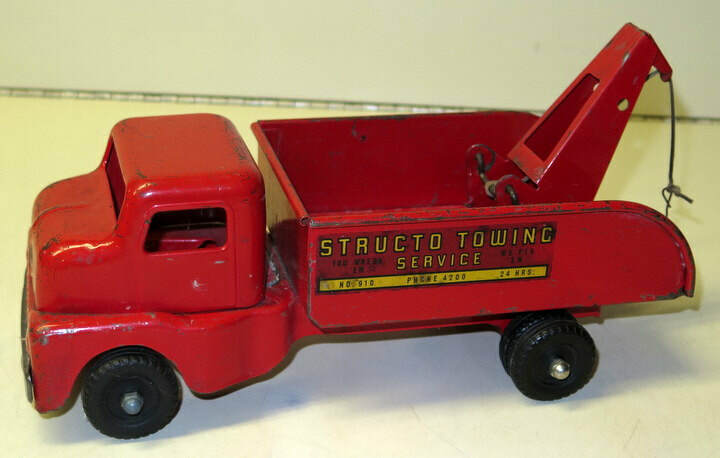 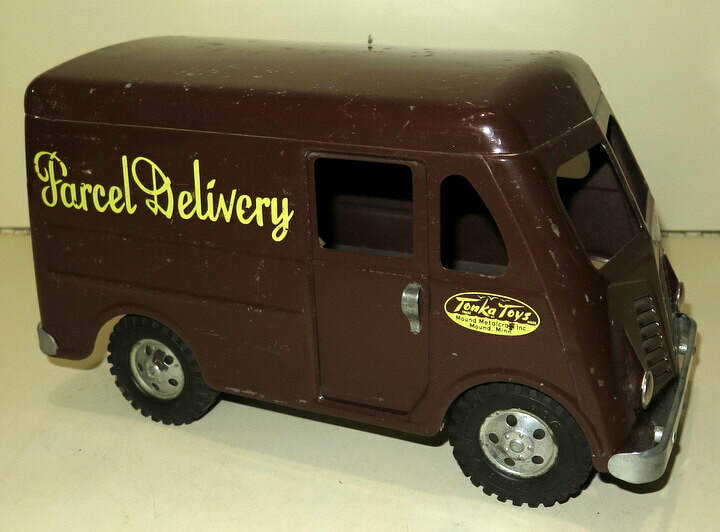 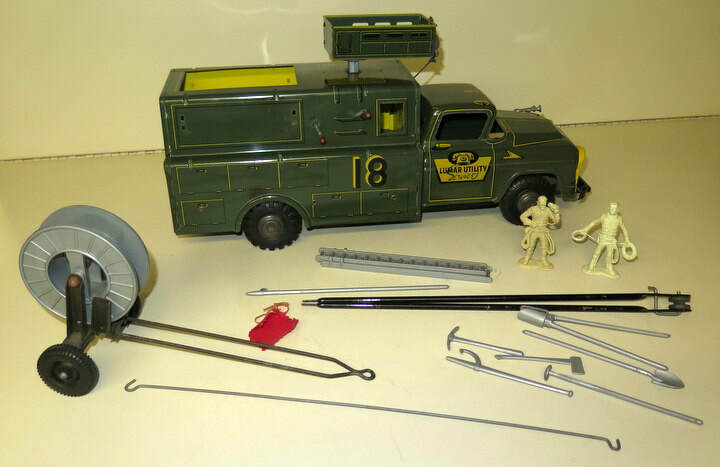 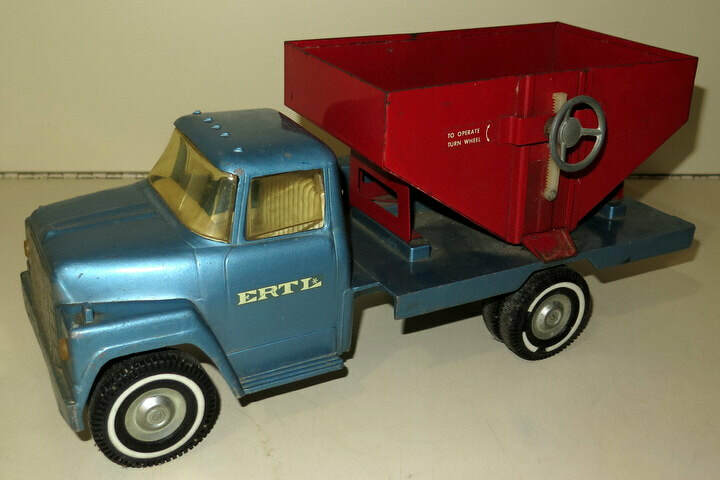 *60+ Nylint Trucks, Construction Toys, Ford Bronco’s, Econoline Pickups & Vans! 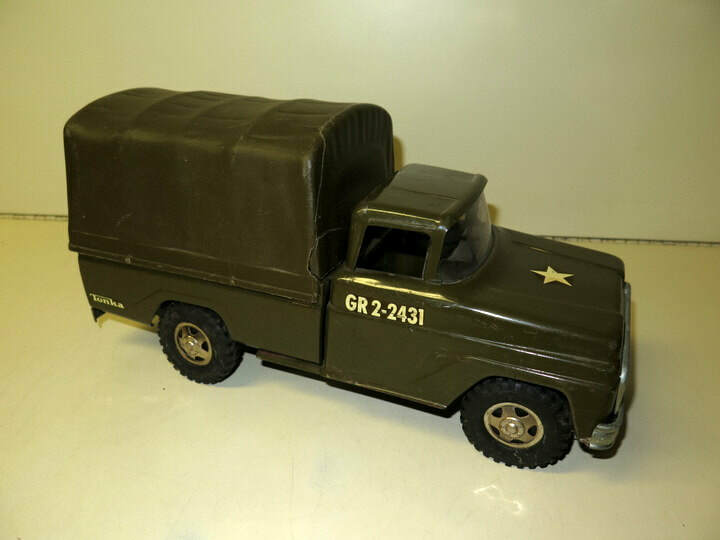 Several Private Labels, Military Toys, & unique colors! 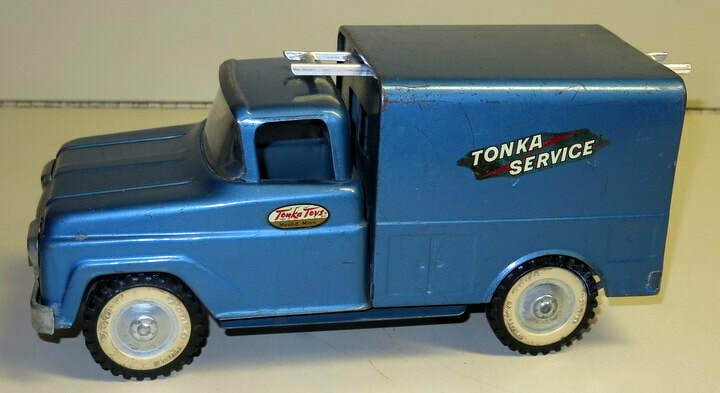 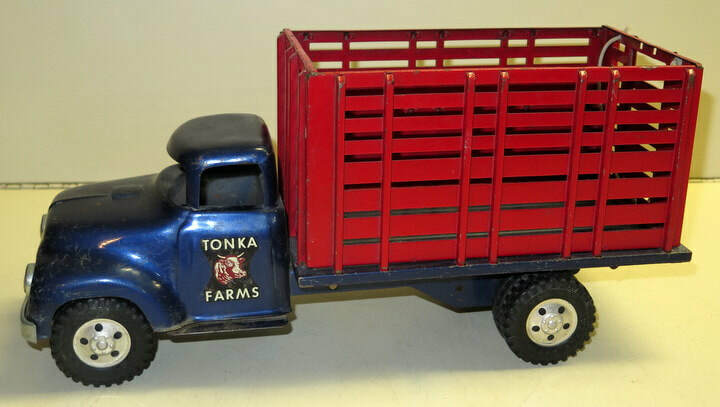 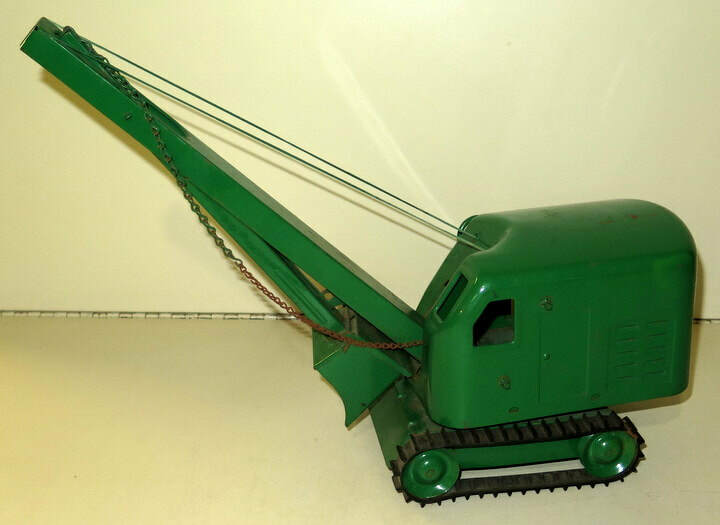 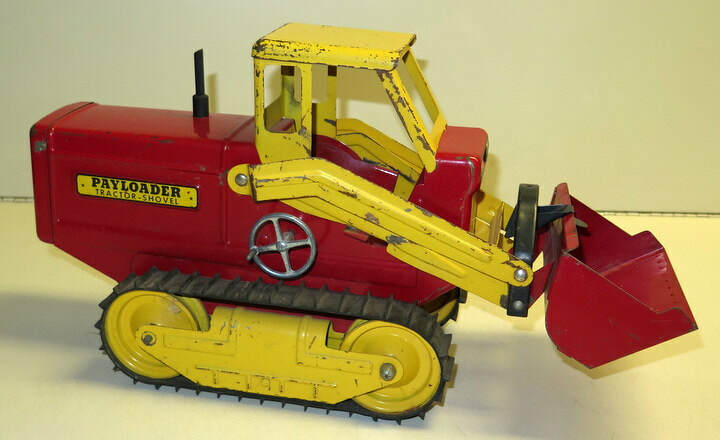 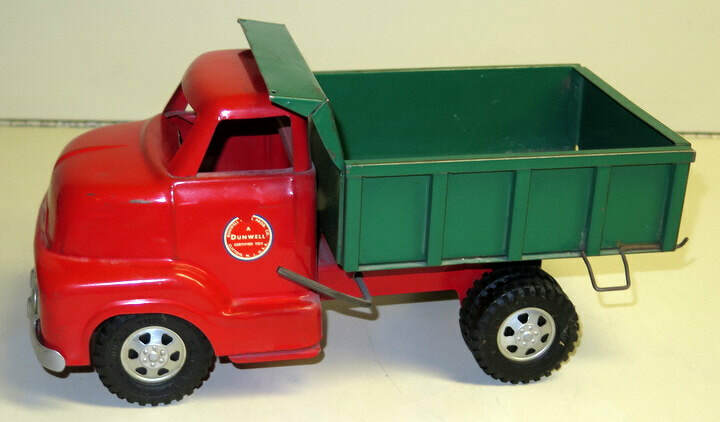 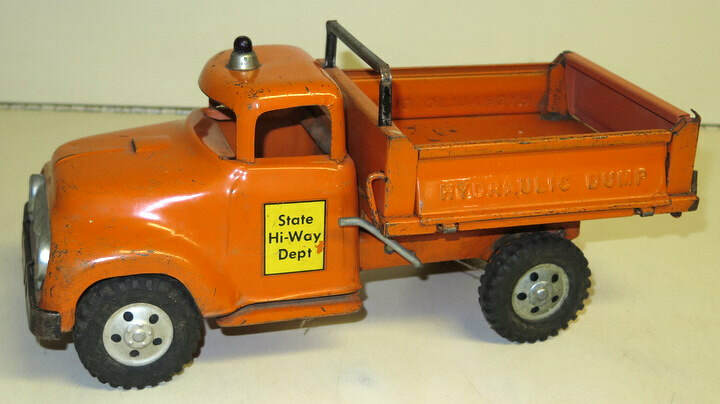 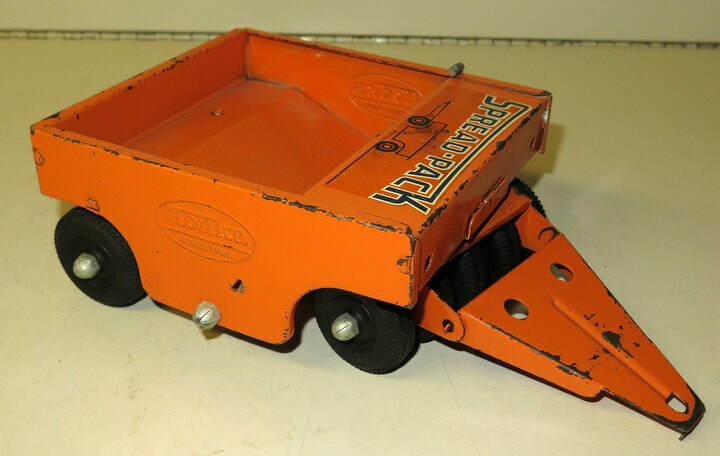 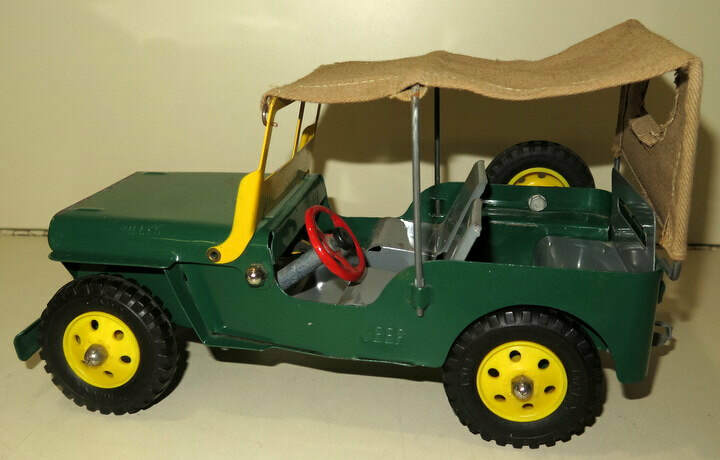 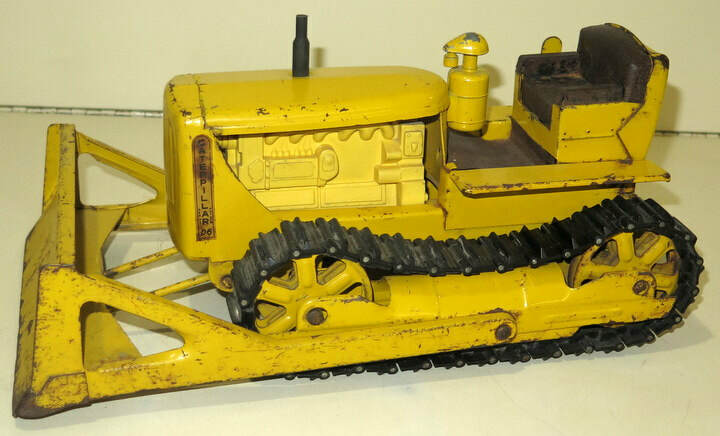 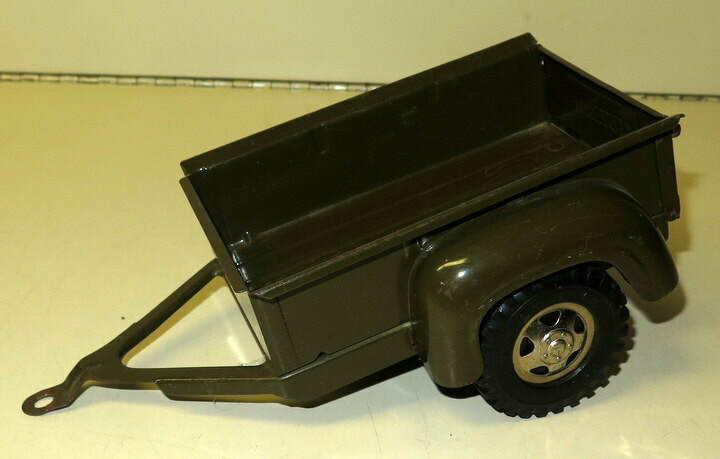 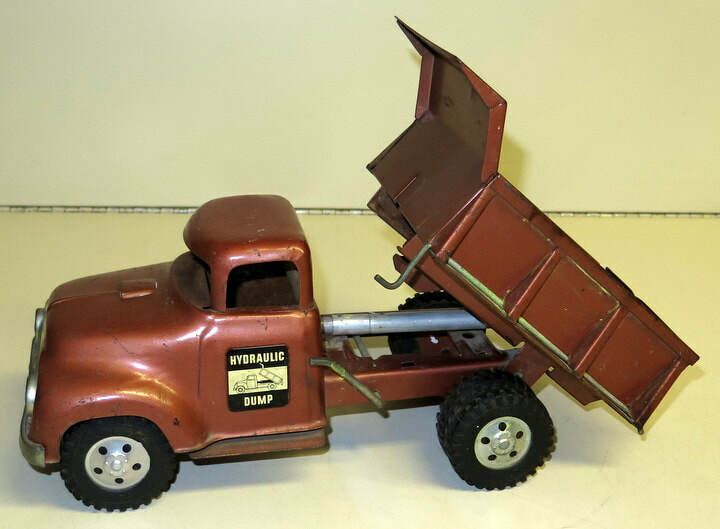 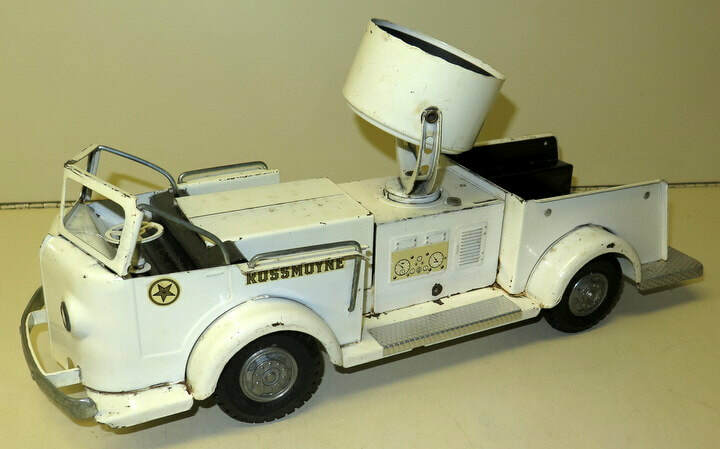 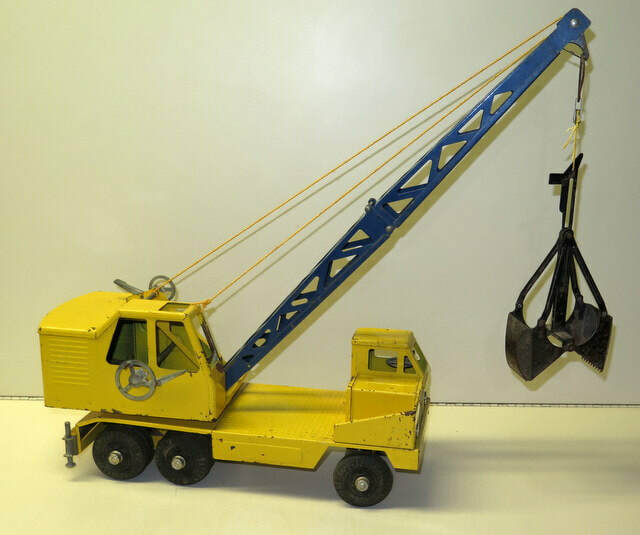 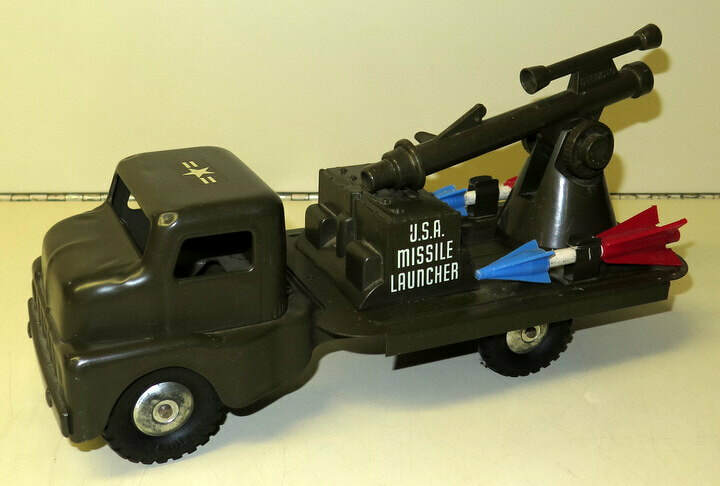 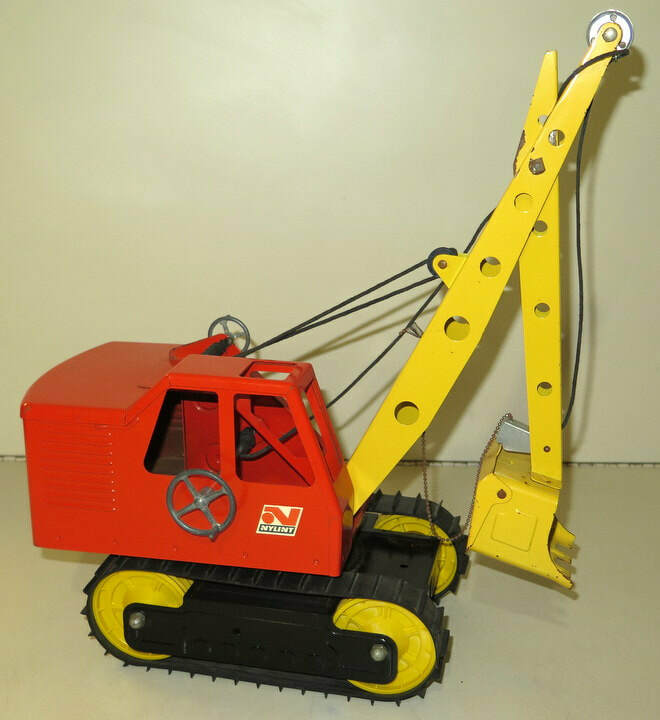 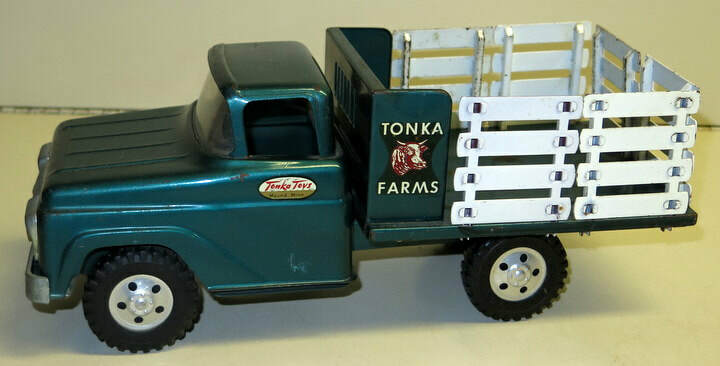 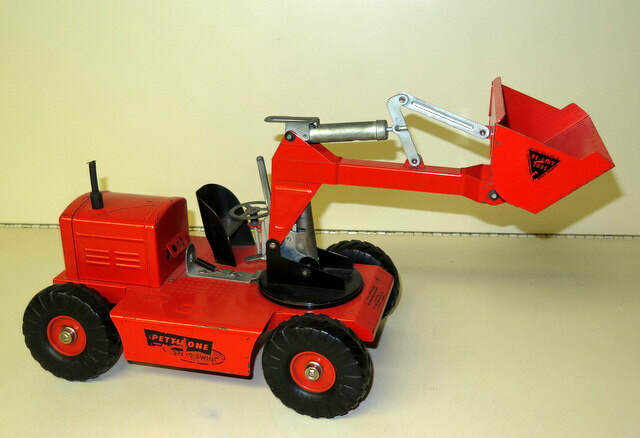 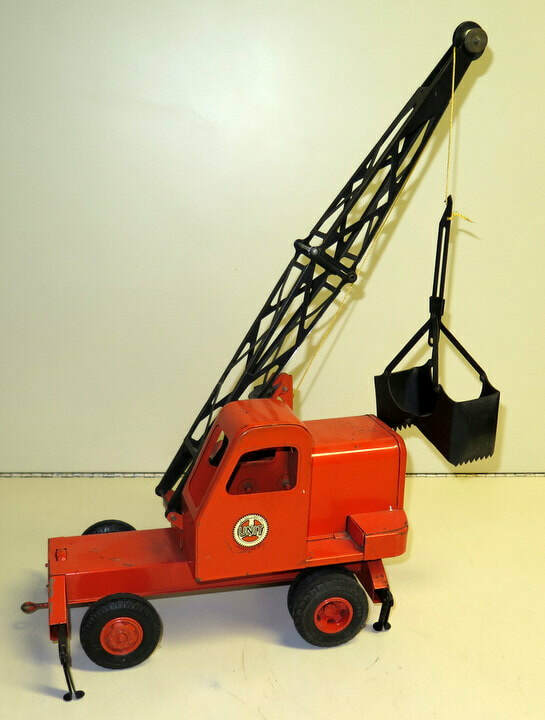 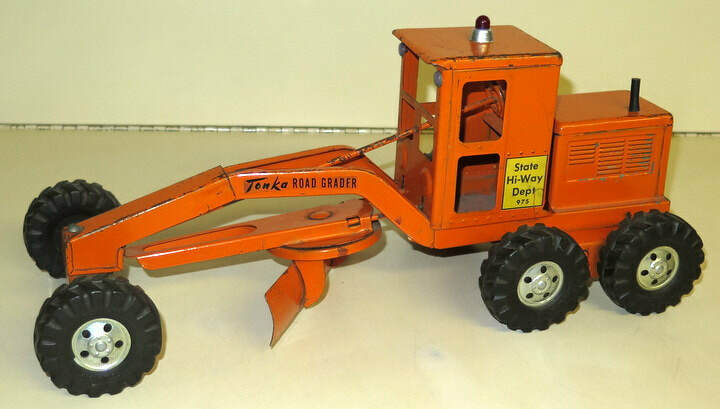 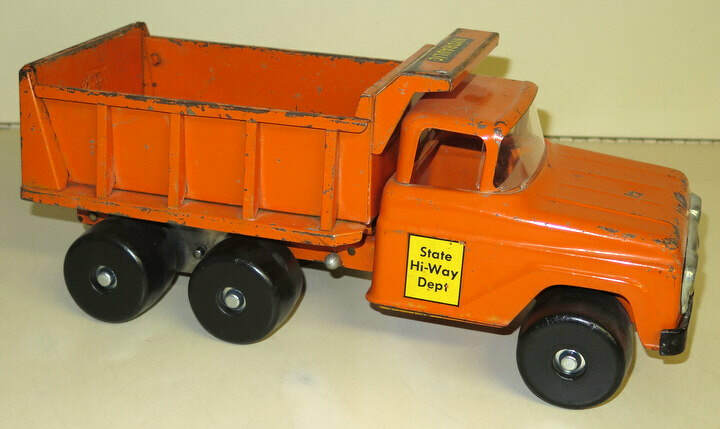 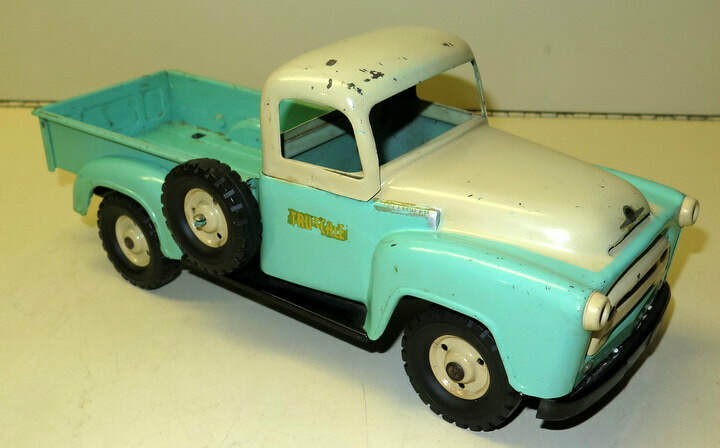 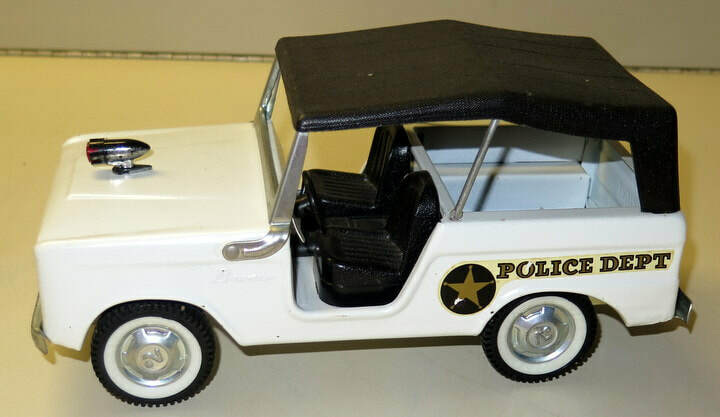 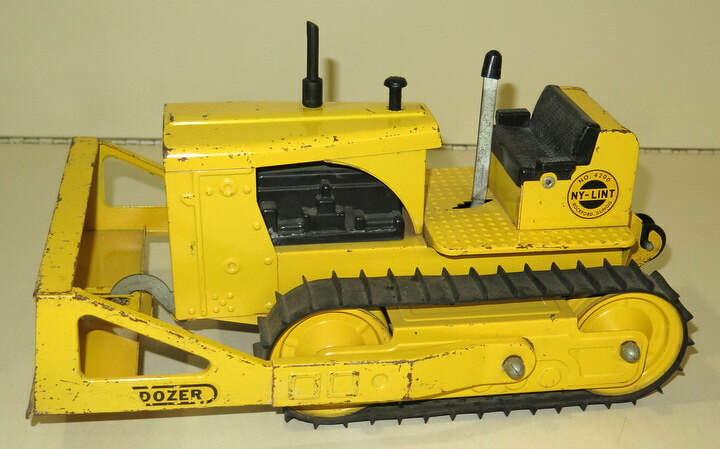 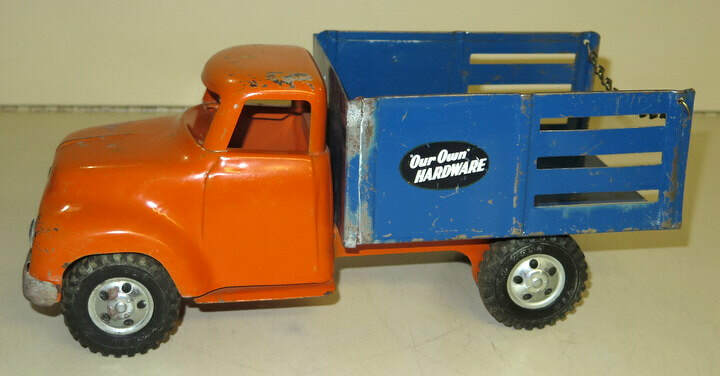 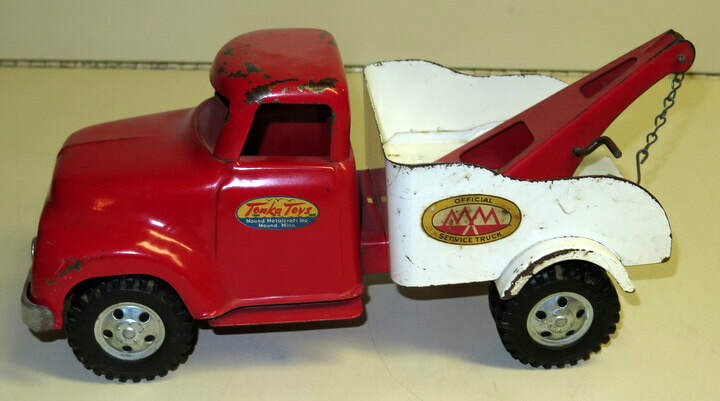 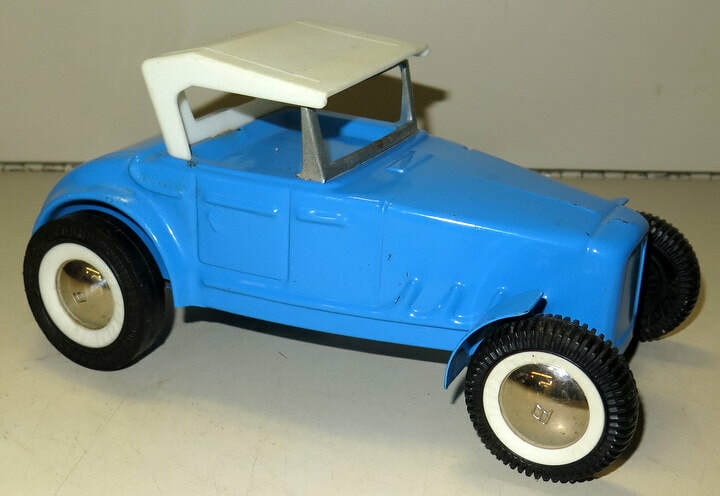 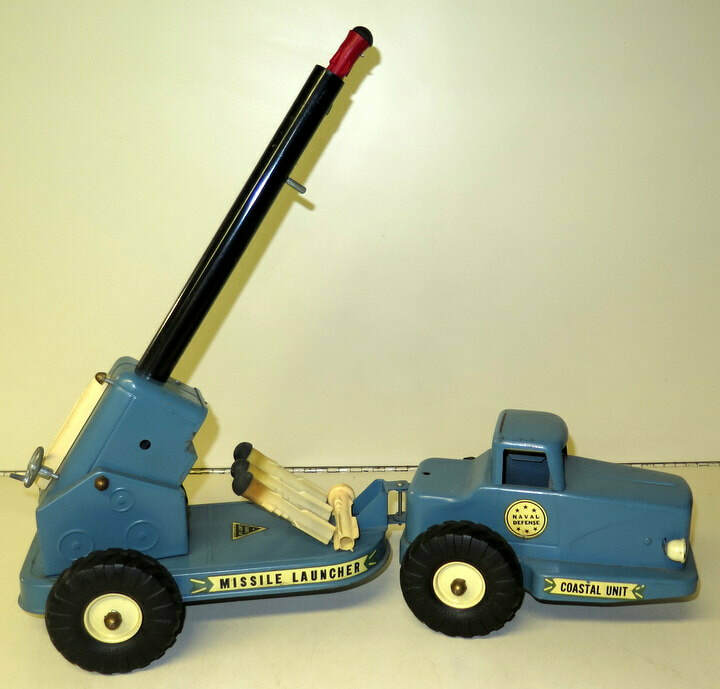 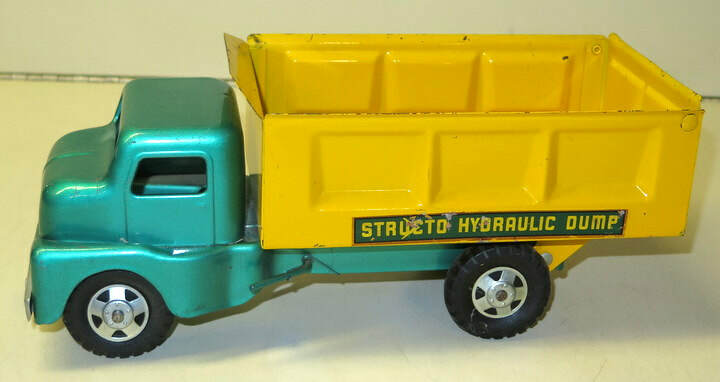 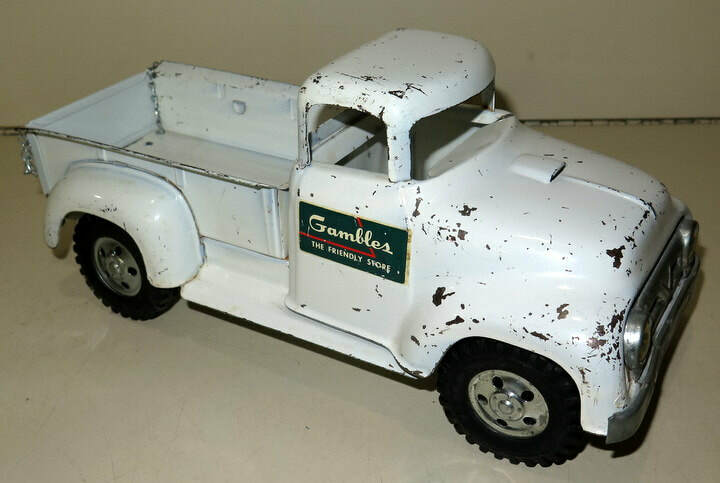 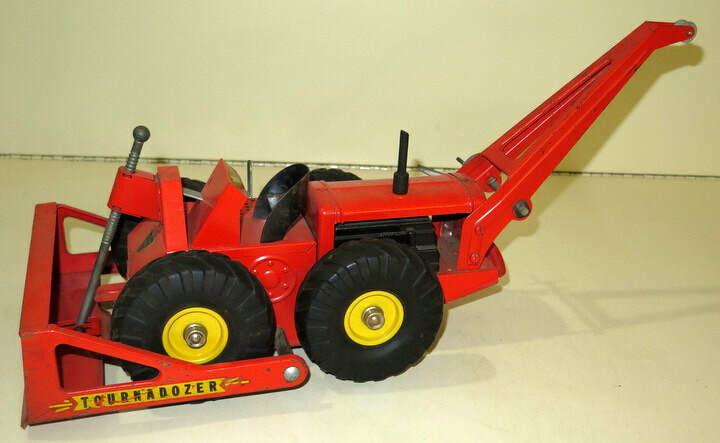 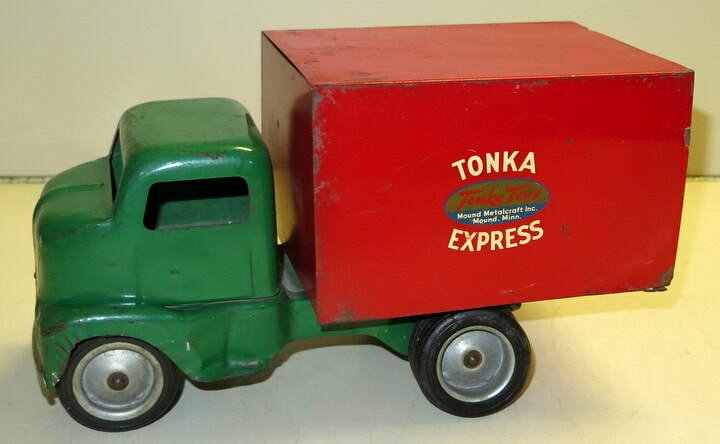 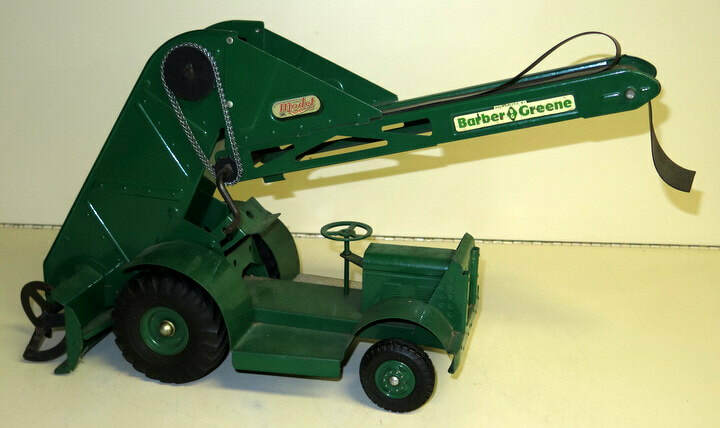 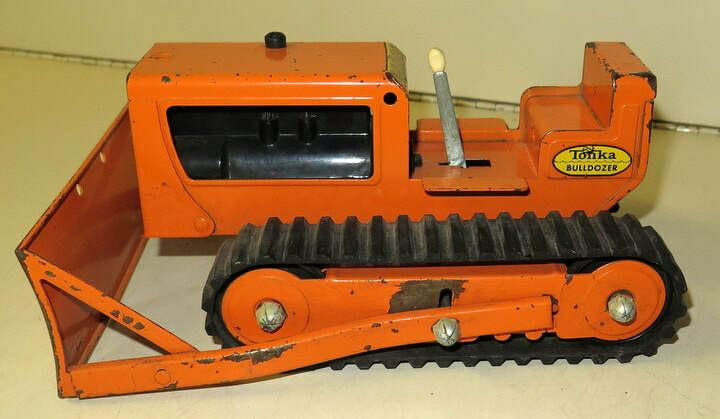 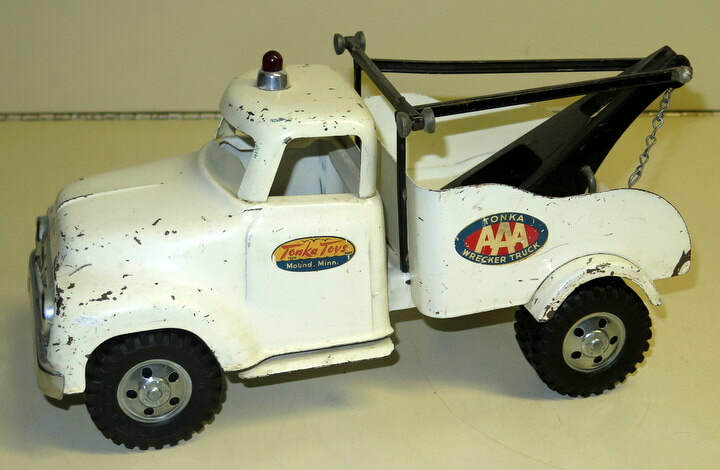 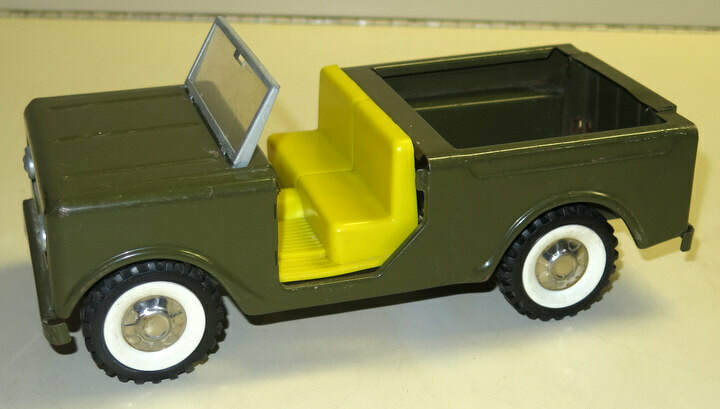 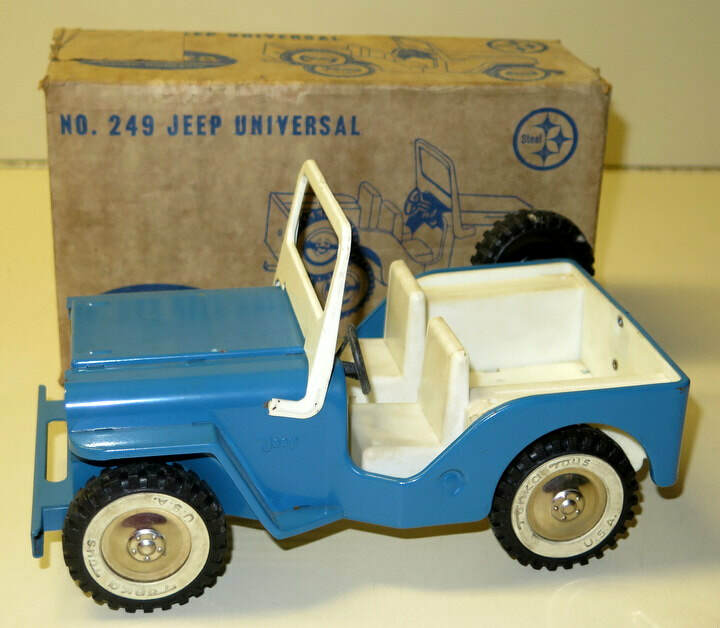 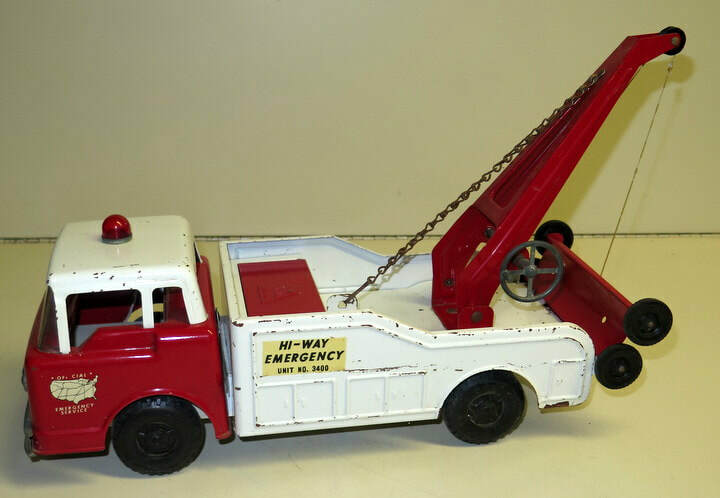 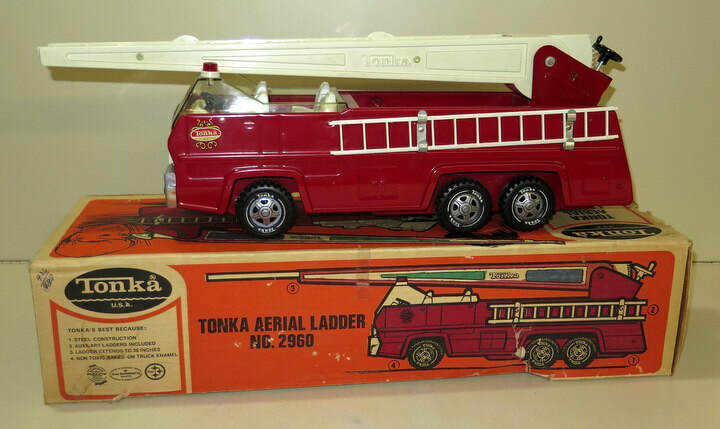 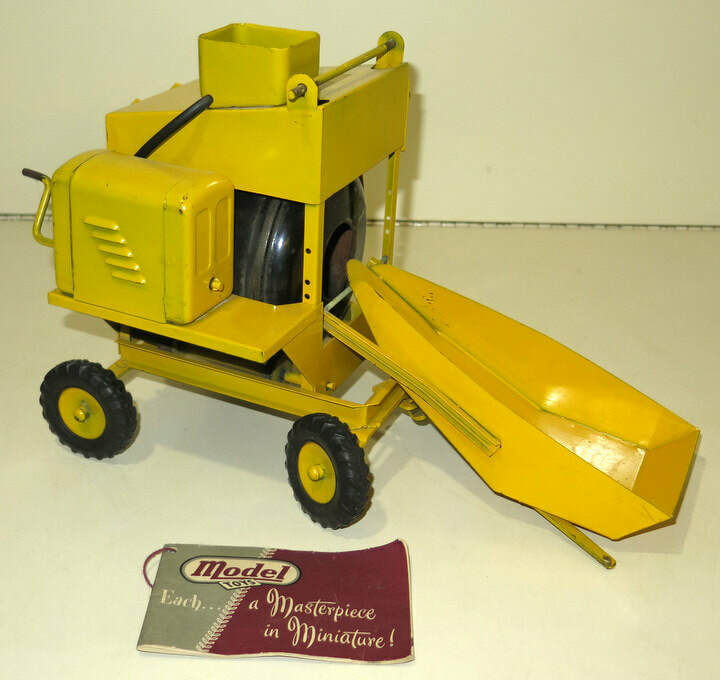 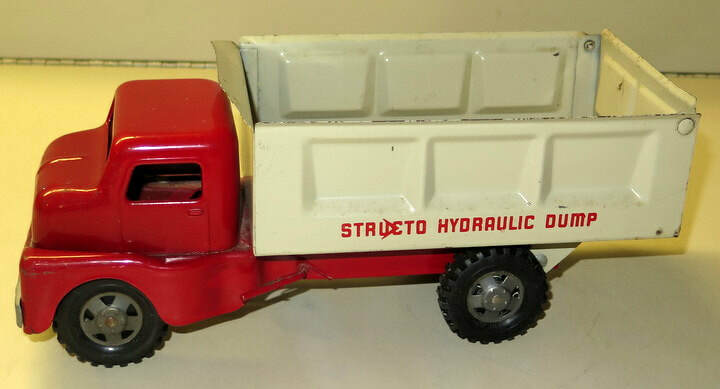 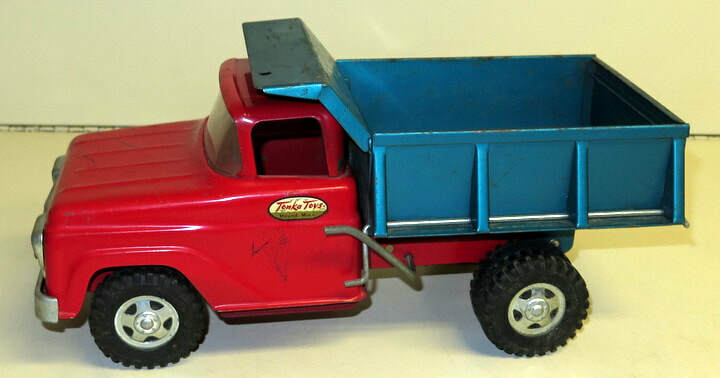 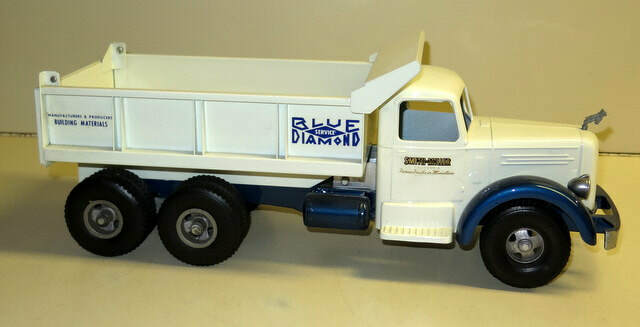 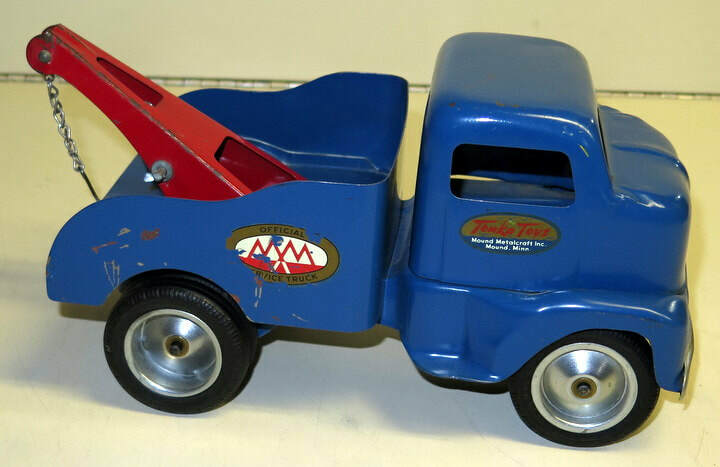 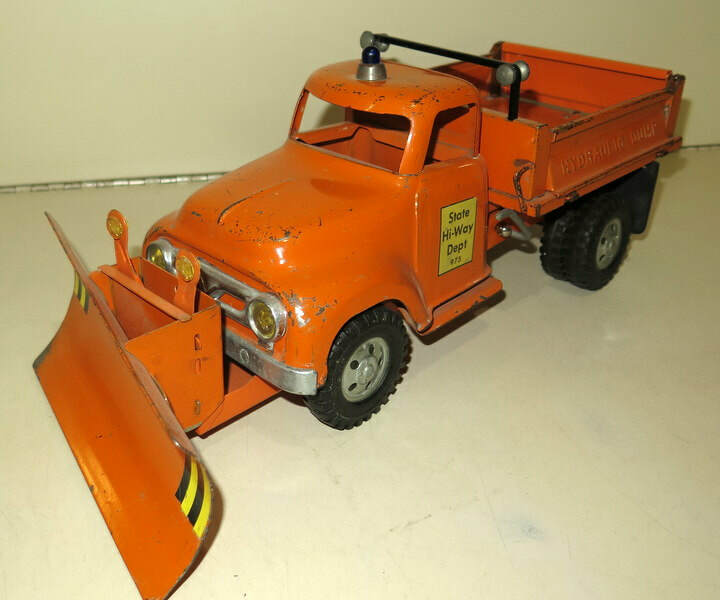 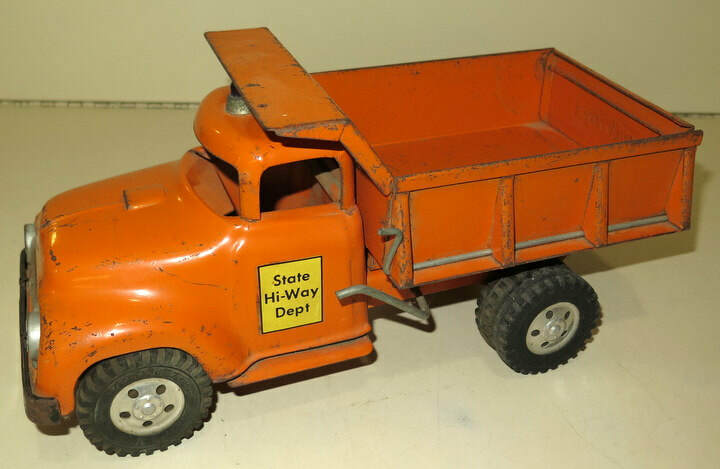 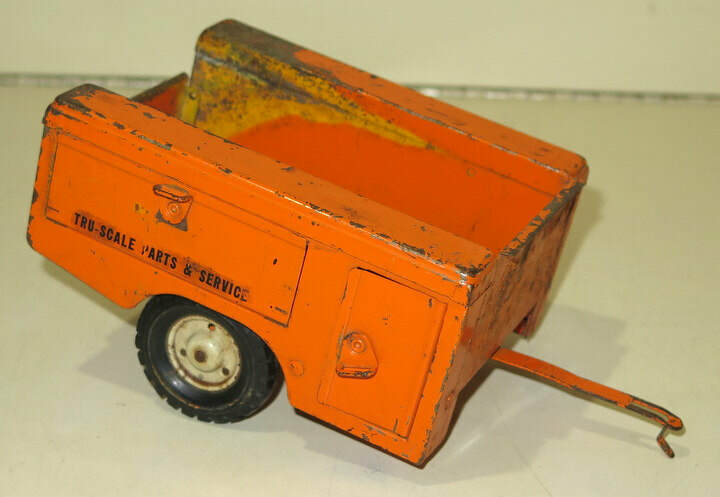 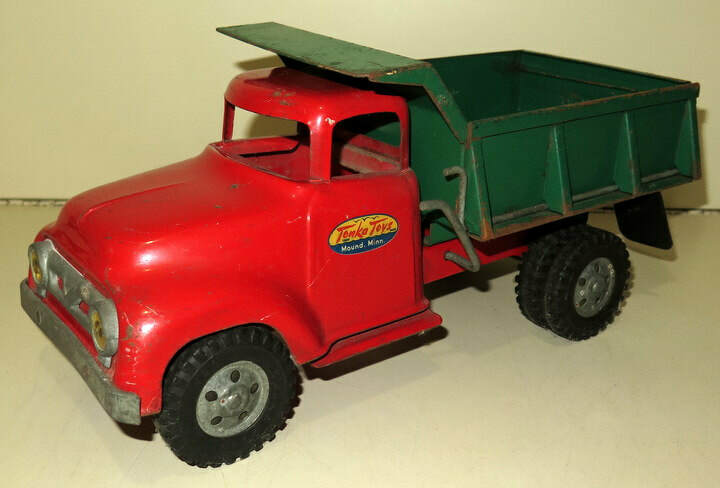 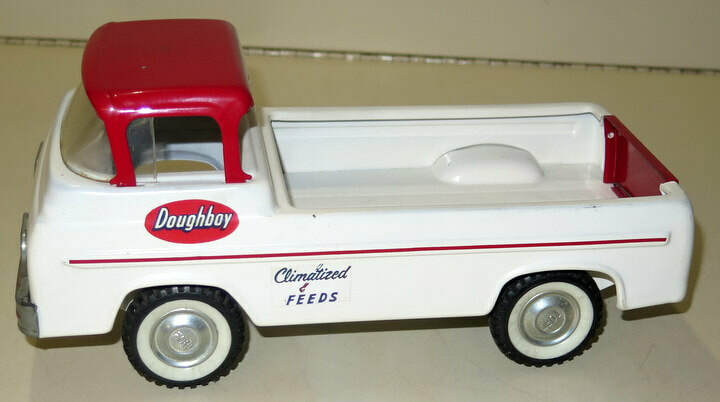 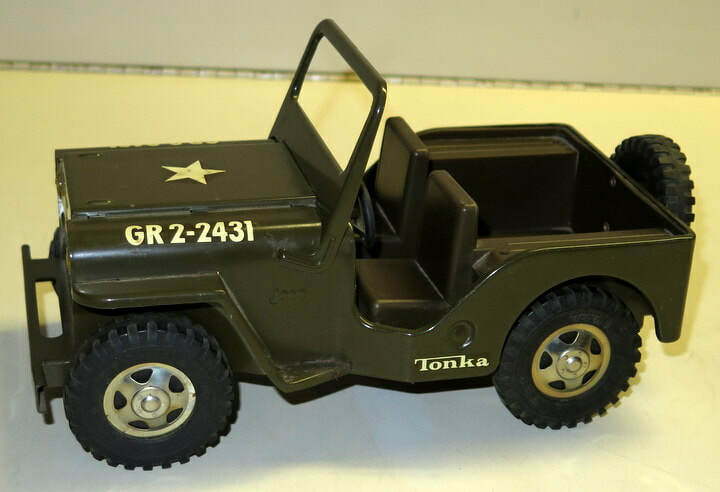 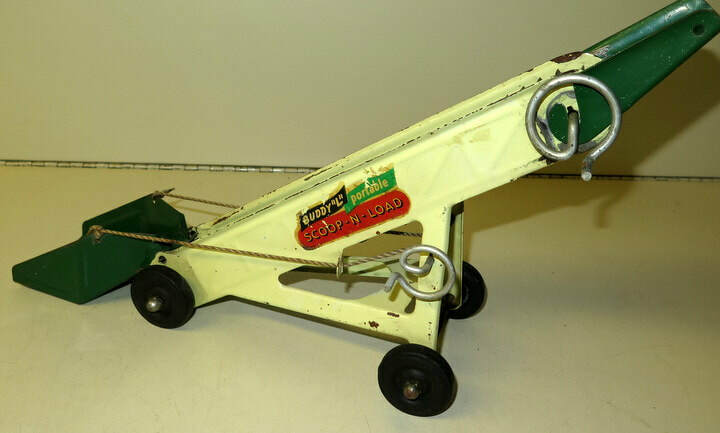 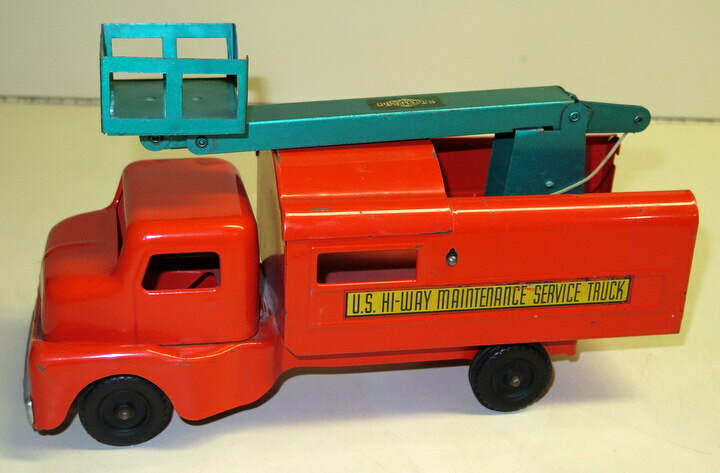 *20+ Doepke Construction Toys & Trucks—some rare & near mint examples! 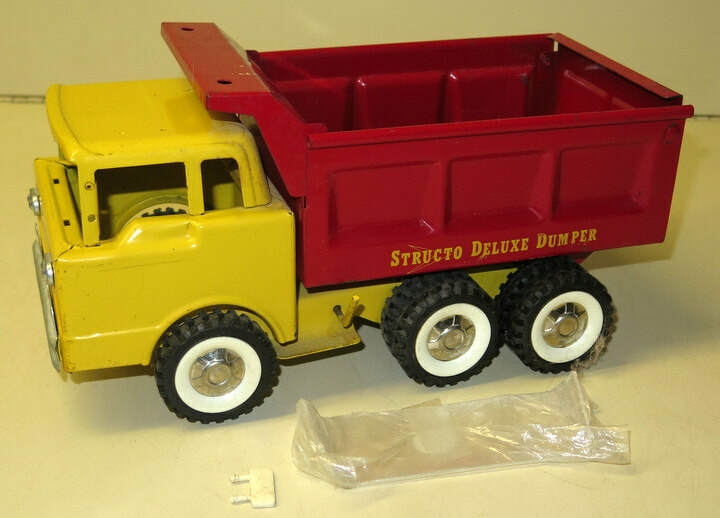 *30+ Structo Trucks & Construction Toys! 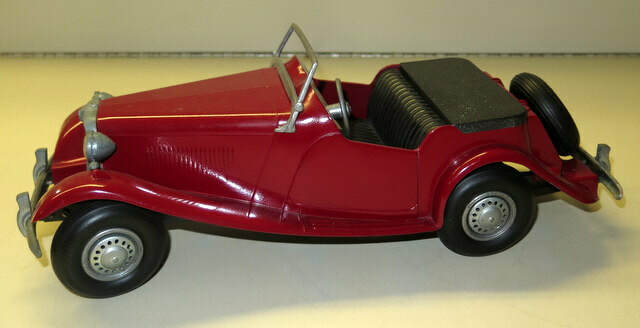 1930’s thru 1970’s! 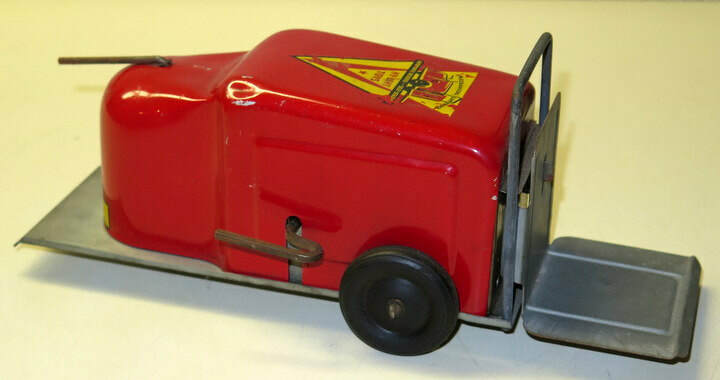 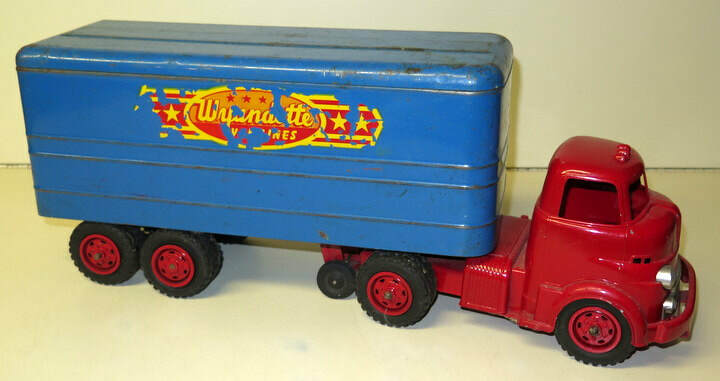 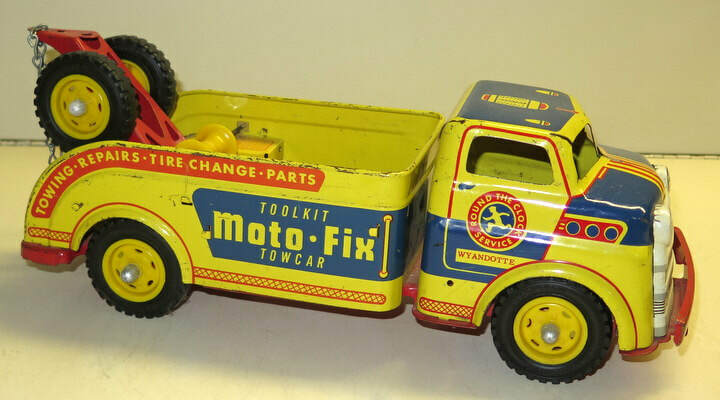 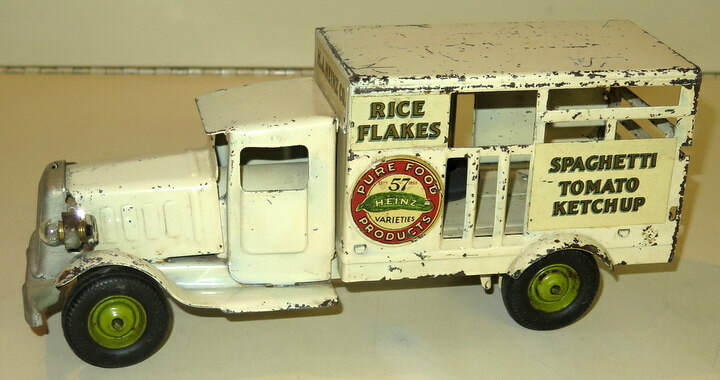 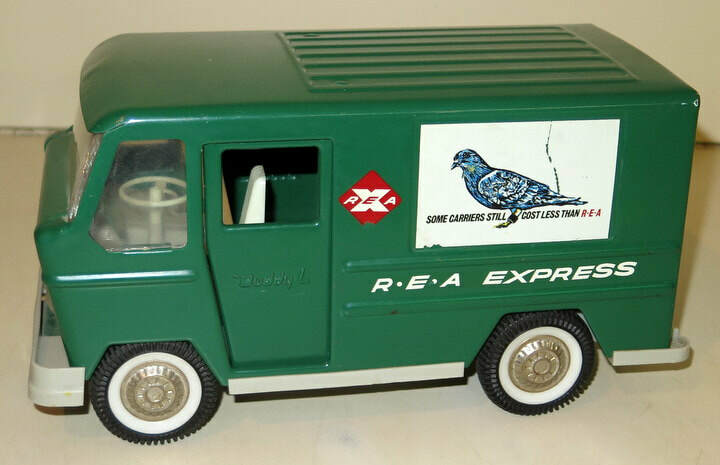 *Marx Trucks & Tin Toys! 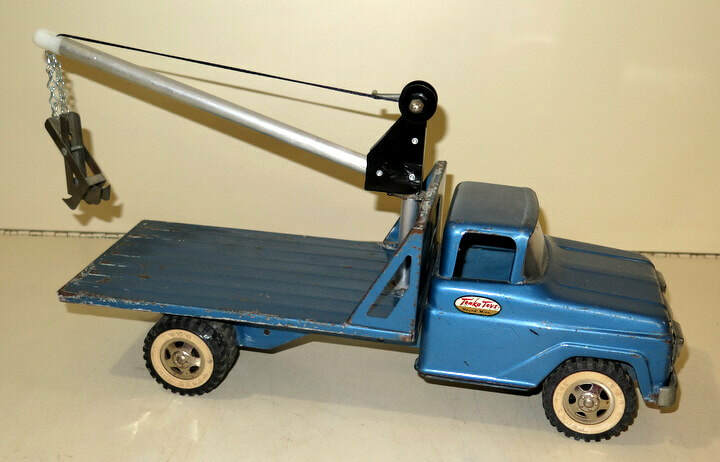 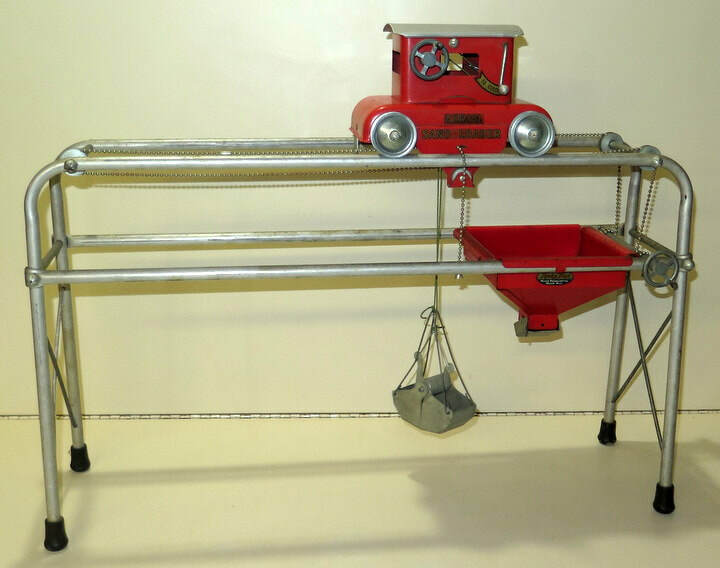 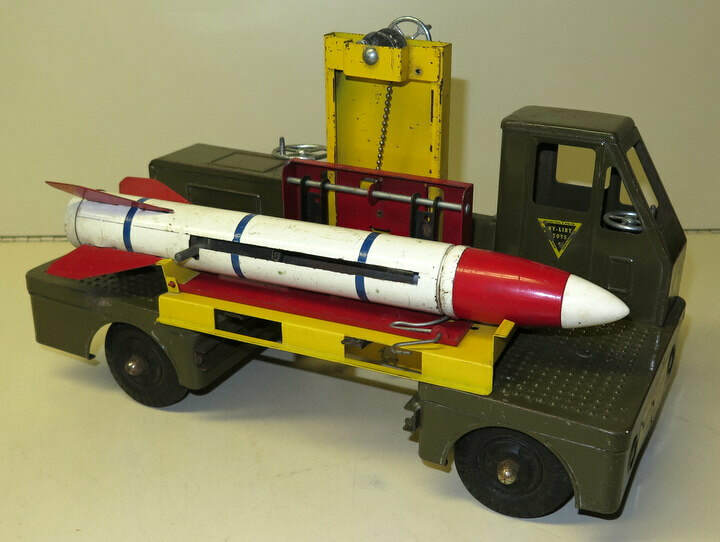 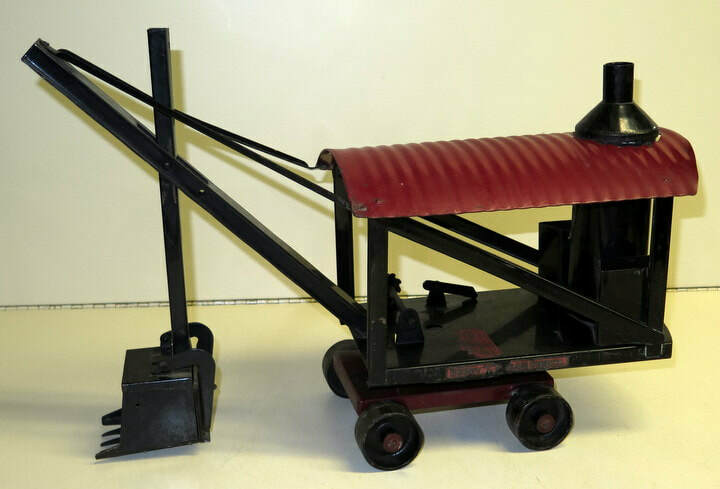 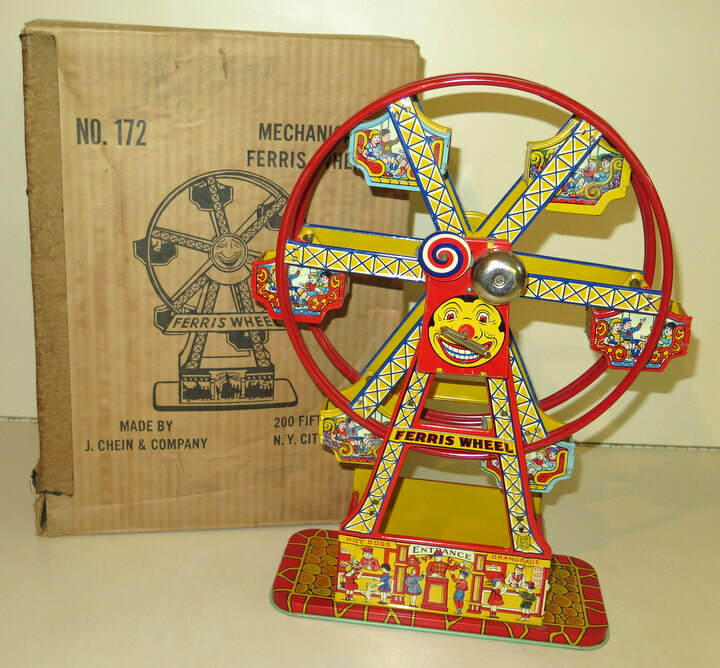 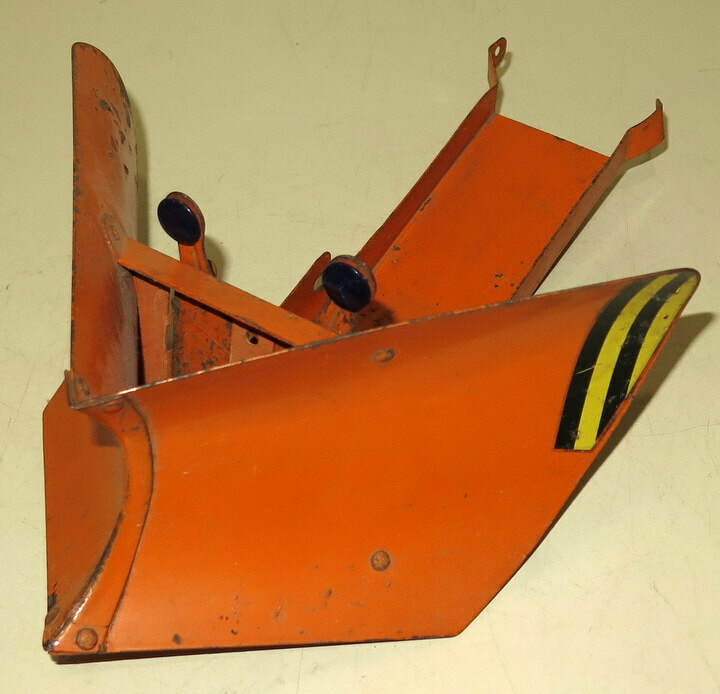 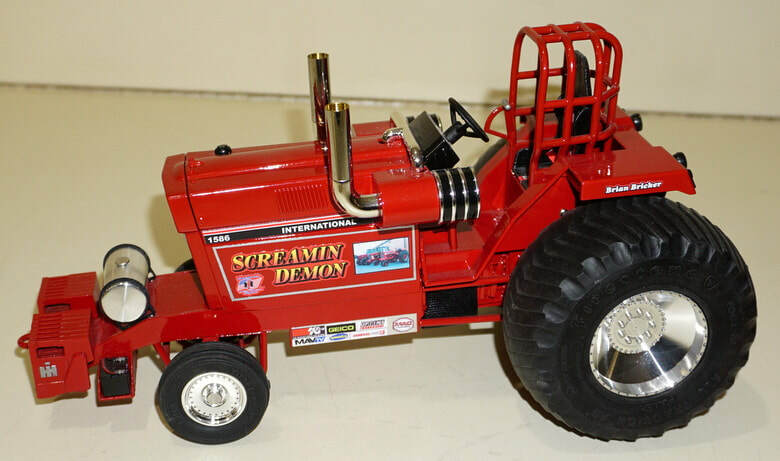 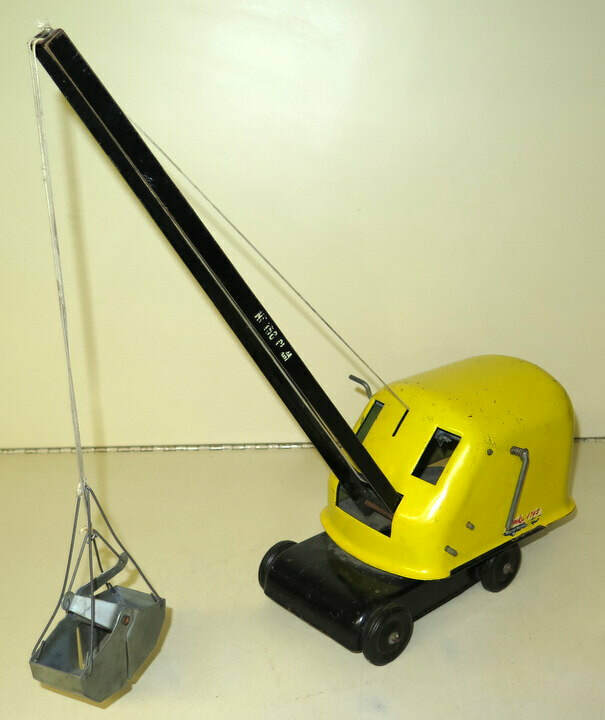 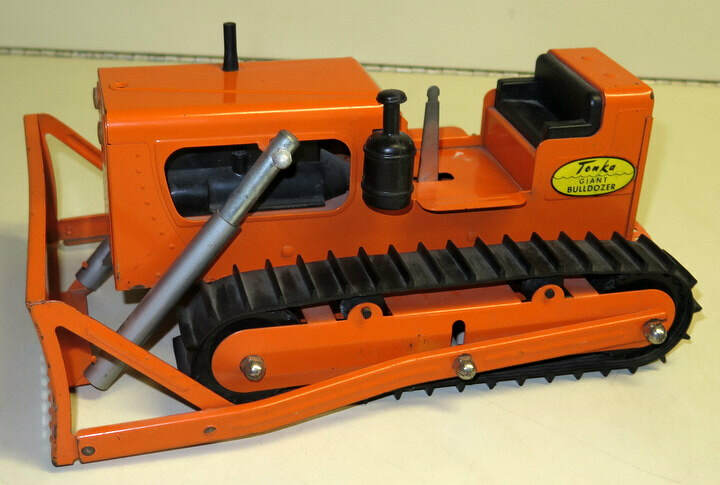 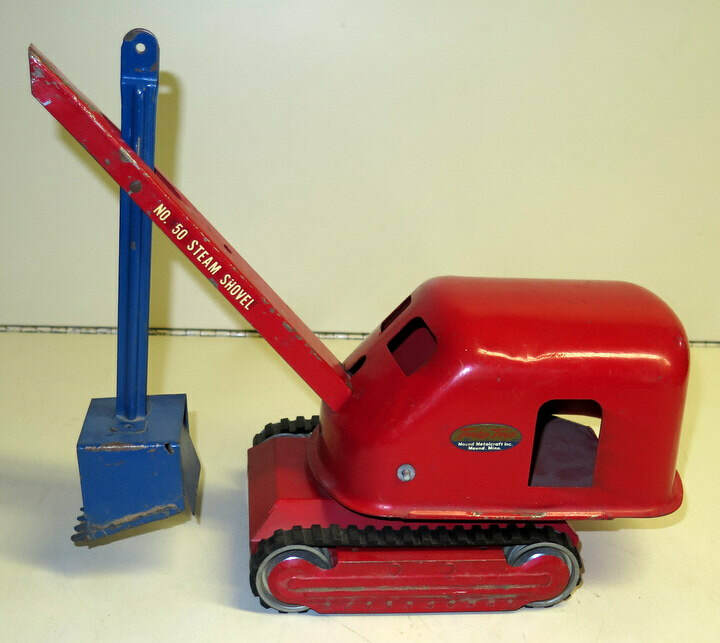 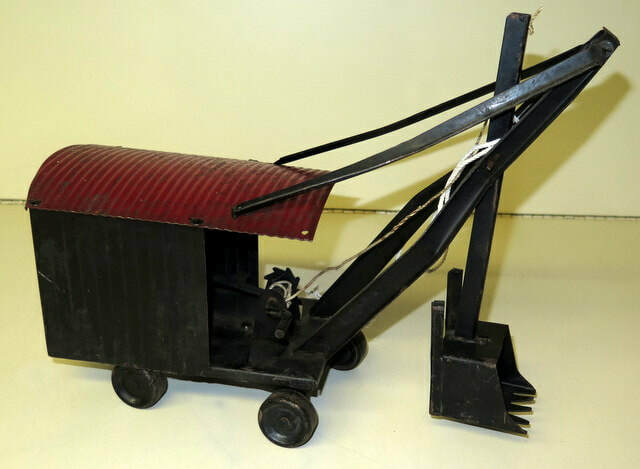 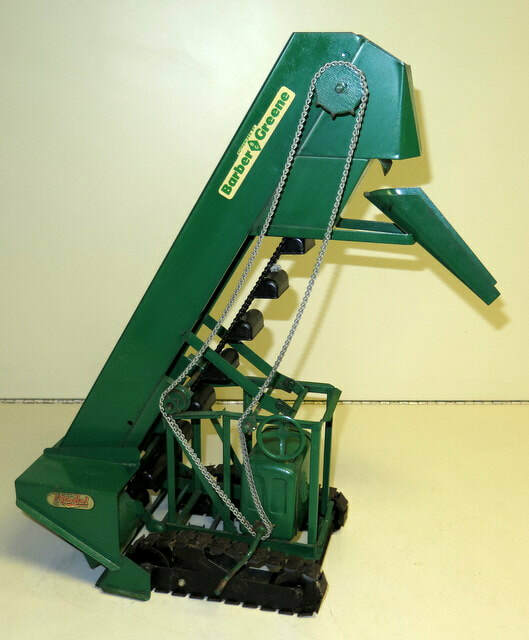 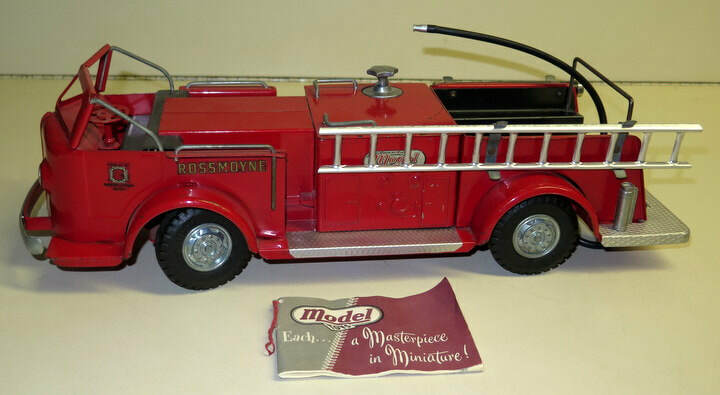 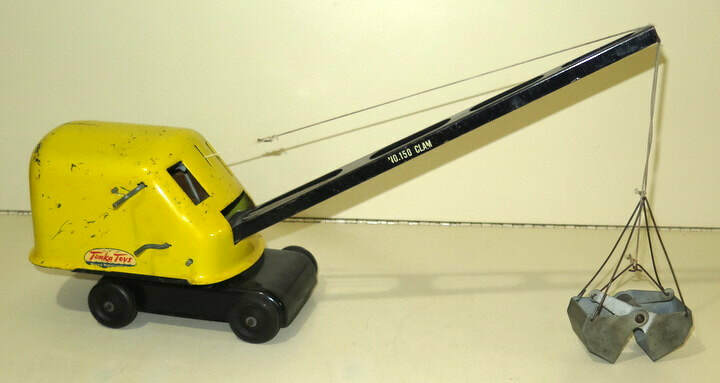 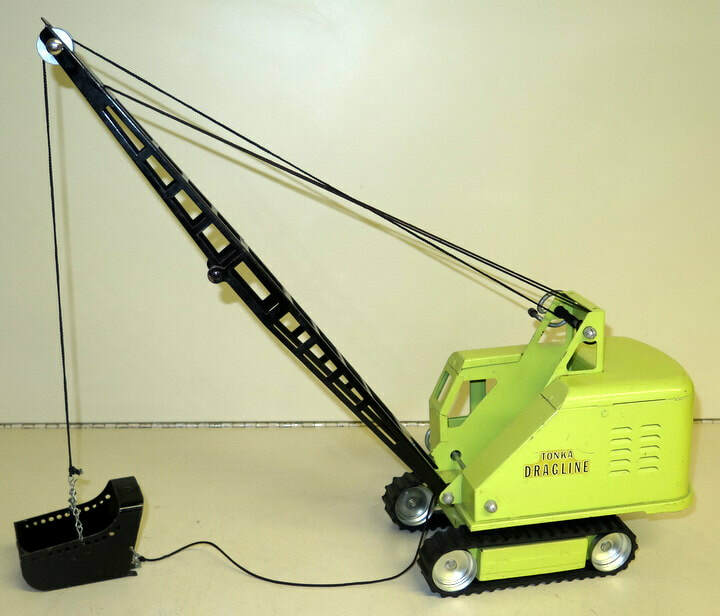 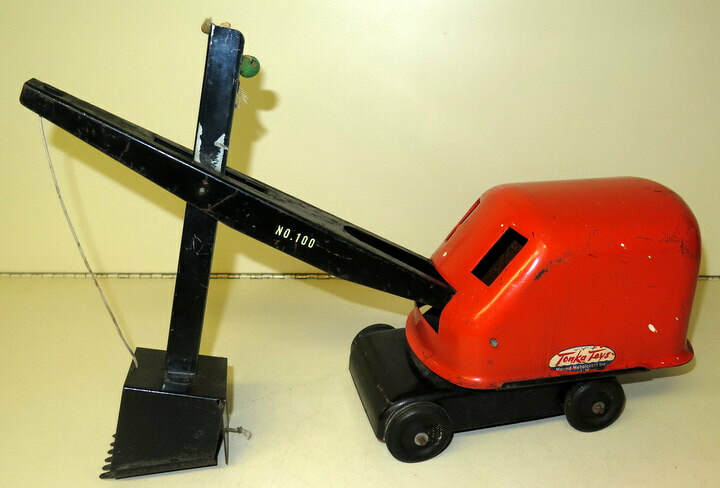 *Other Toys including Banner, Cor-Cor, Dunwell, Hubley, Keystone, Kingsbury, Steelcraft, Wyandotte & more! 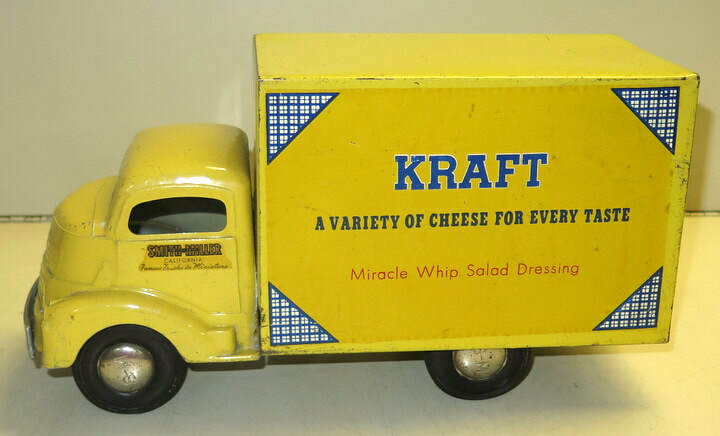 Note: 100% of this auction comes from the Dave Reed Collection of Willmar, MN. 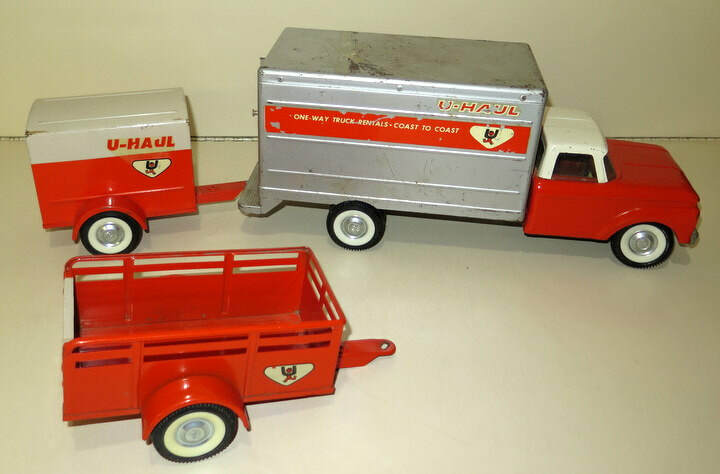 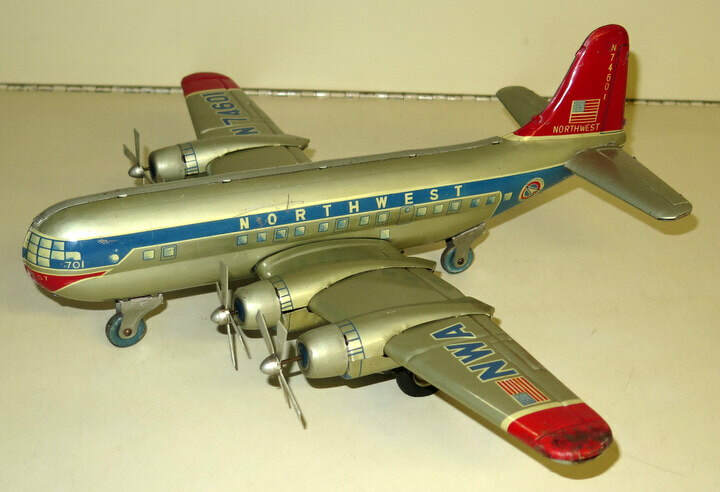 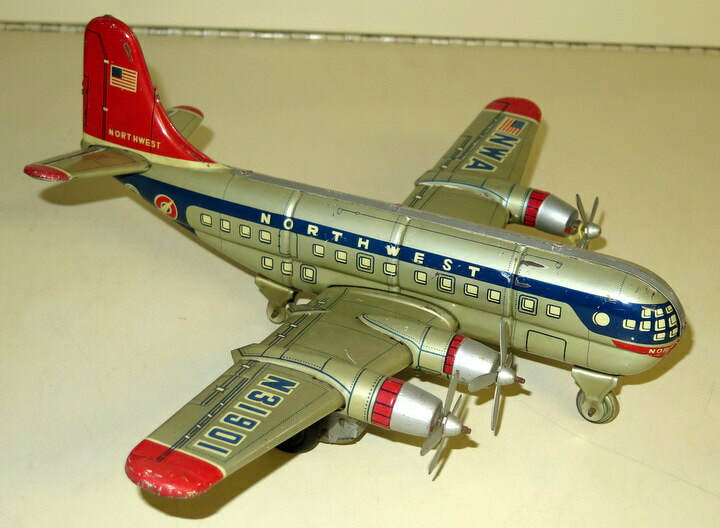 Mr. Reed has been a toy collector for well over 30 years! 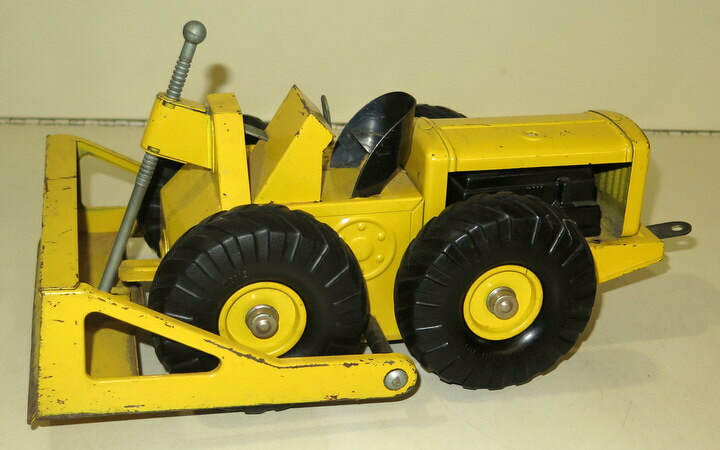 His collection features, good original examples of some hard to find toys. 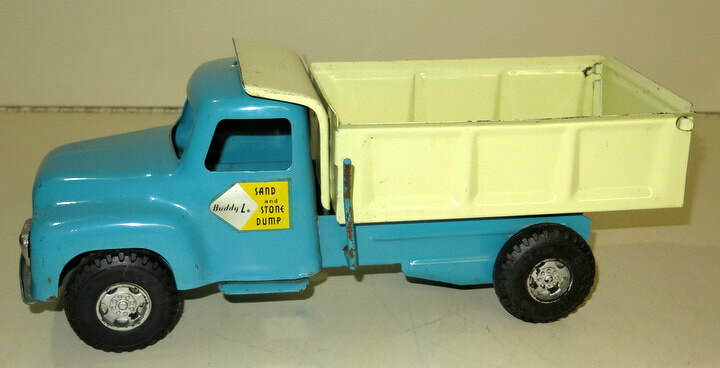 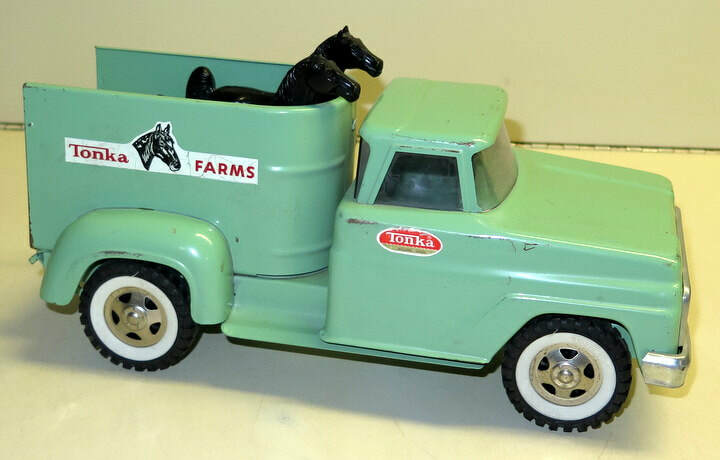 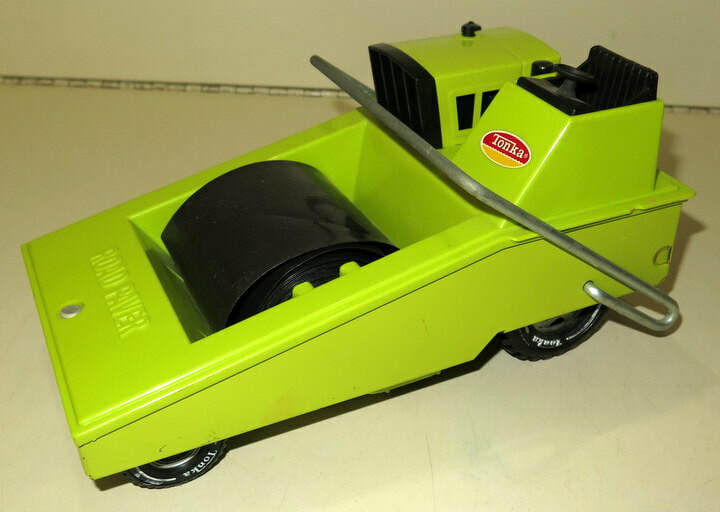 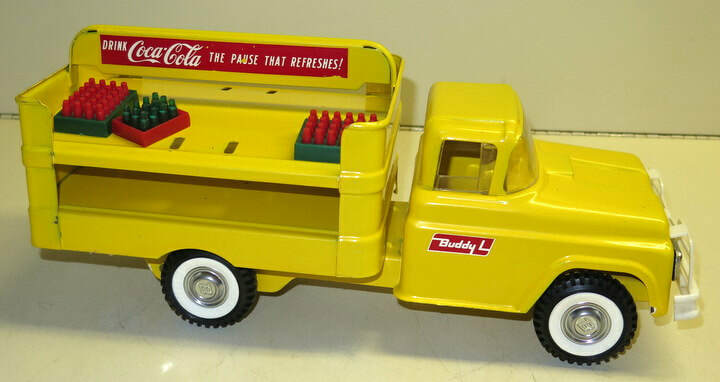 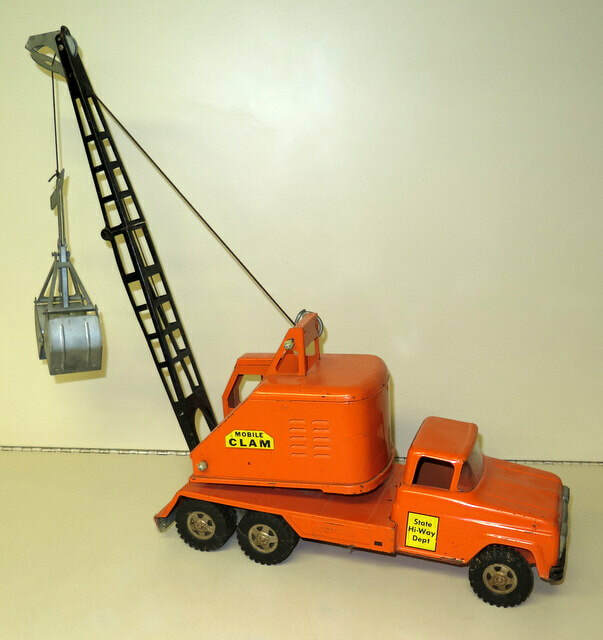 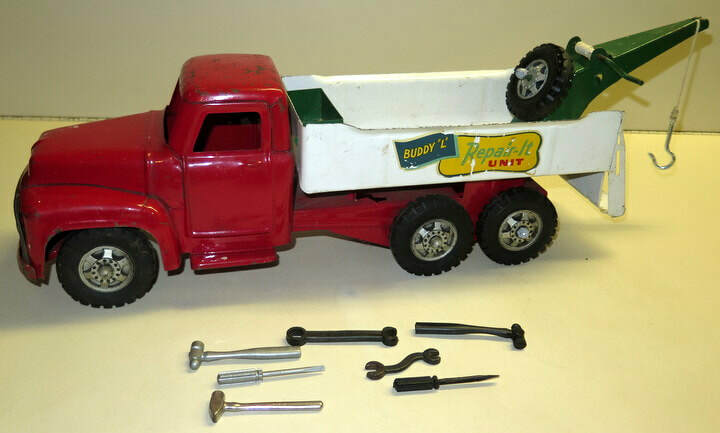 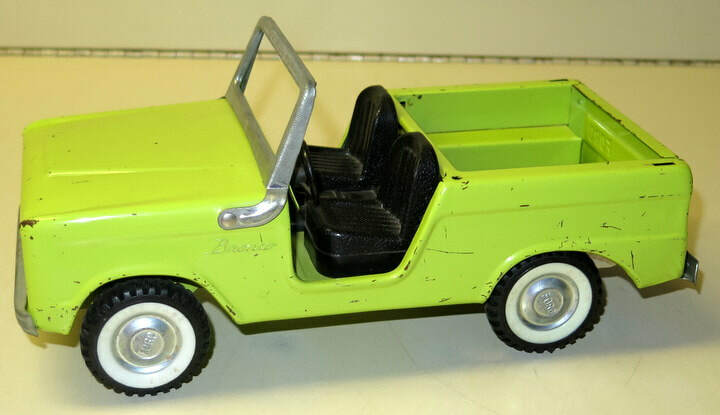 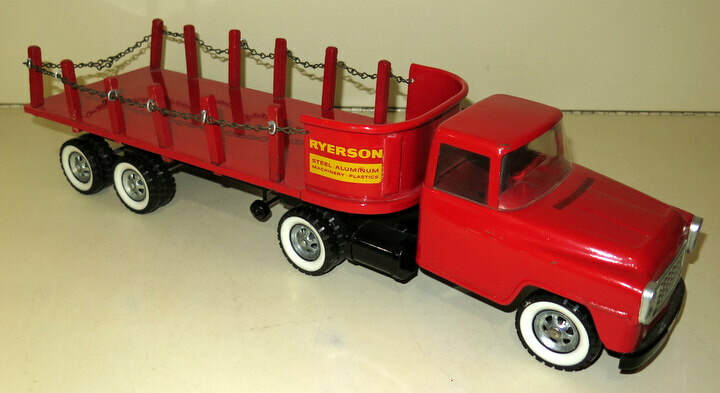 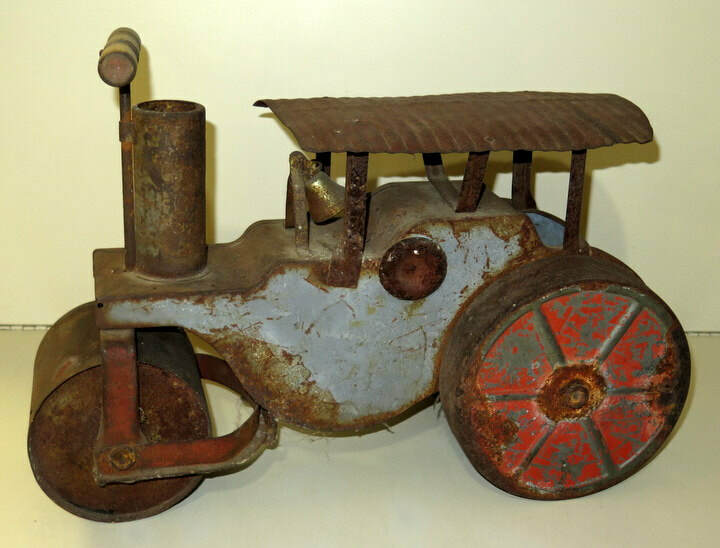 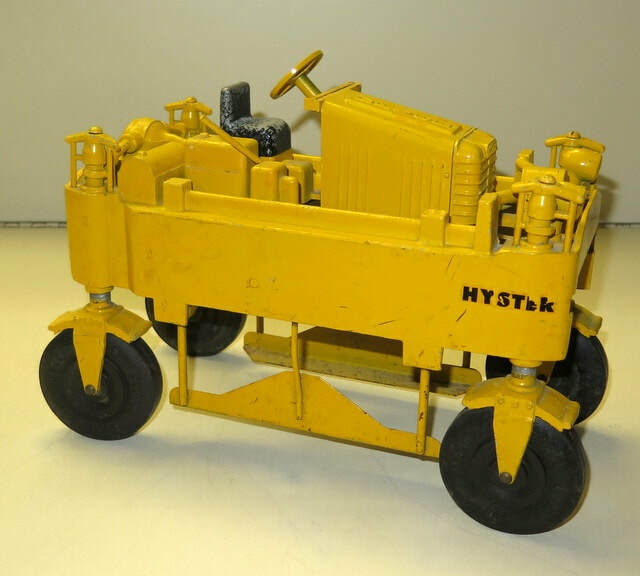 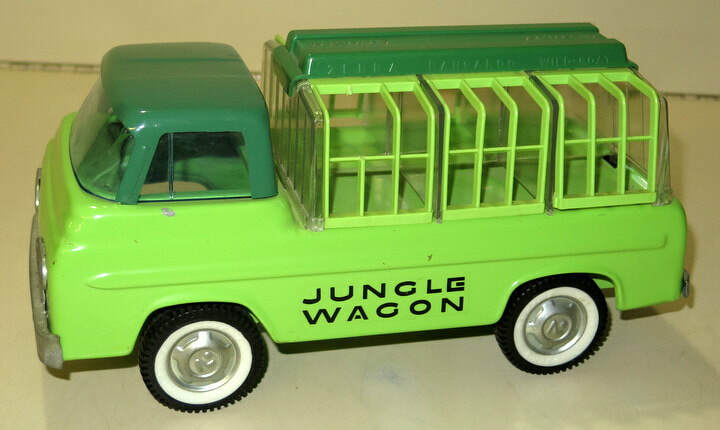 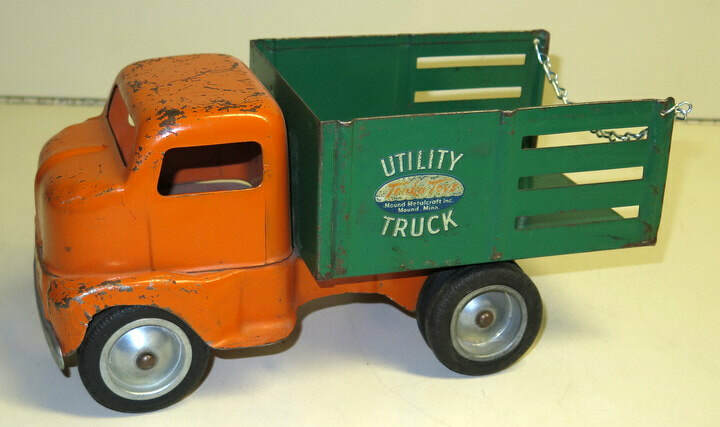 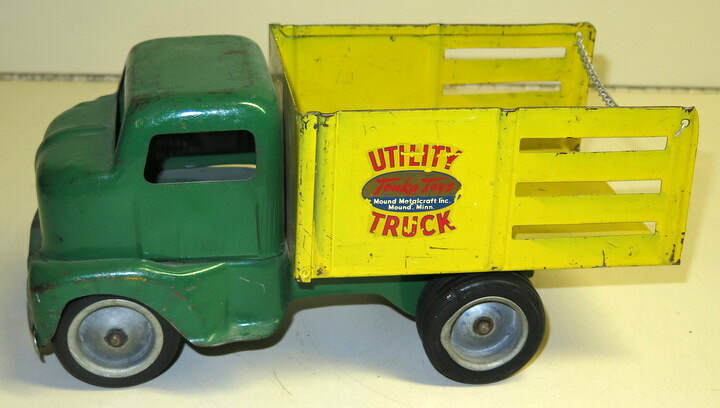 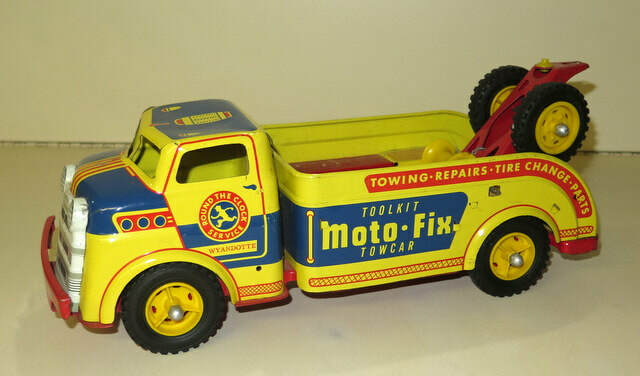 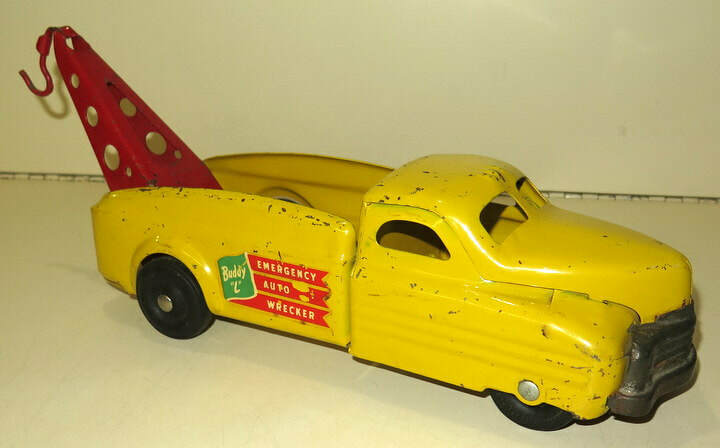 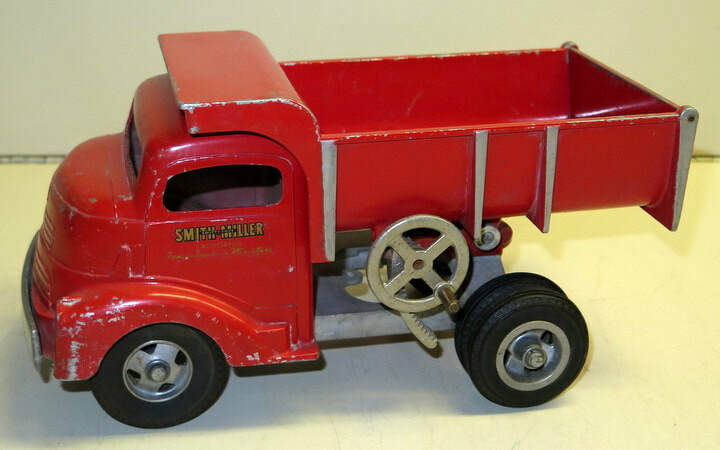 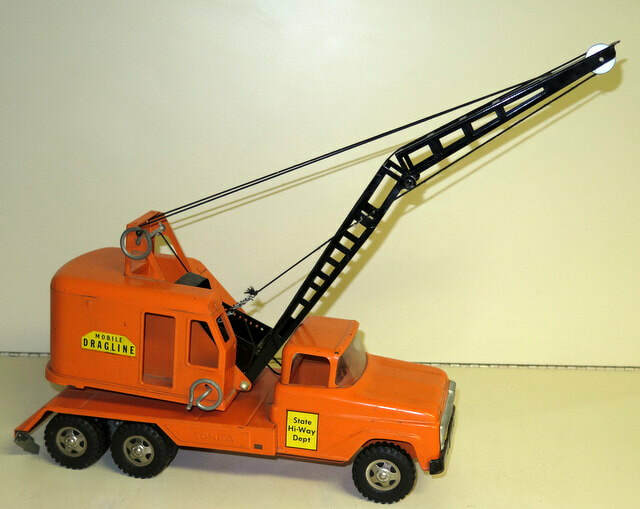 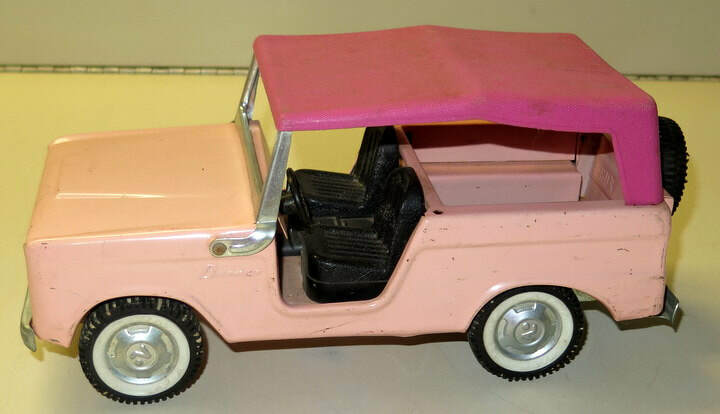 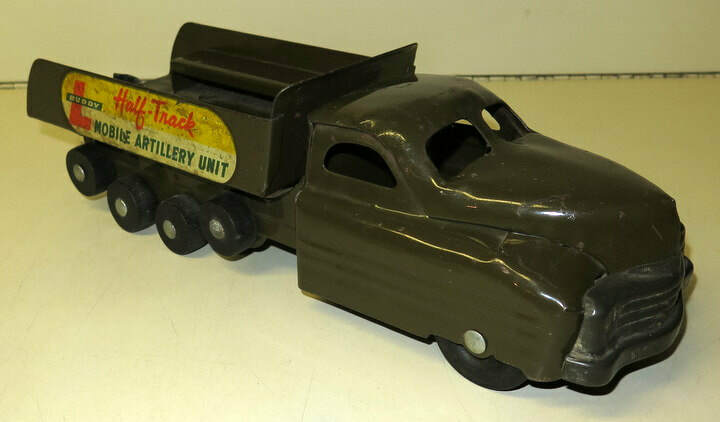 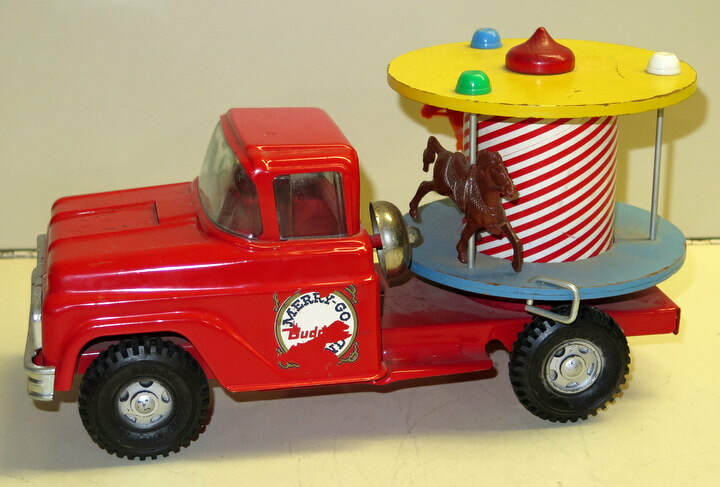 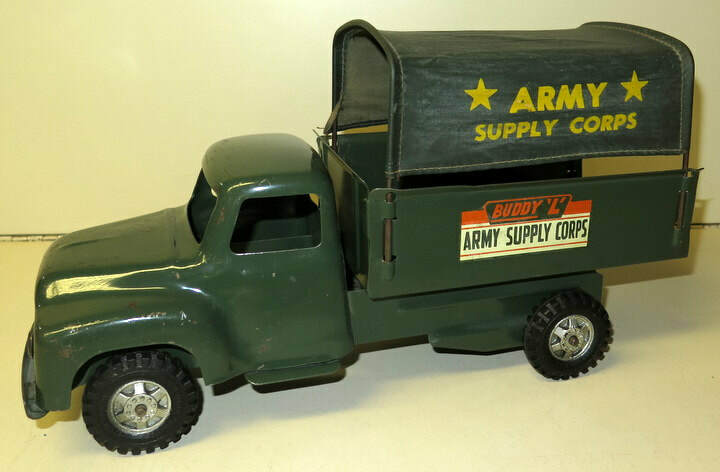 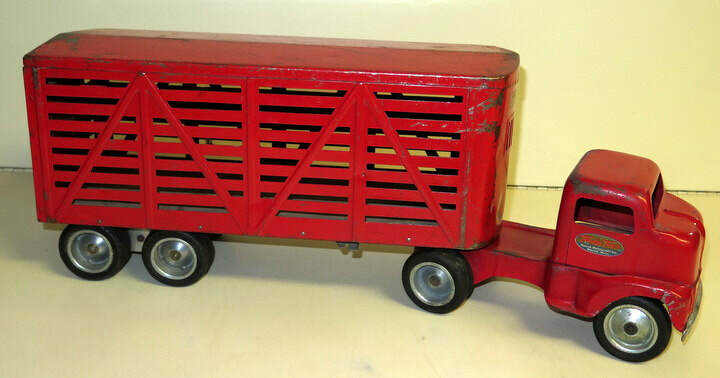 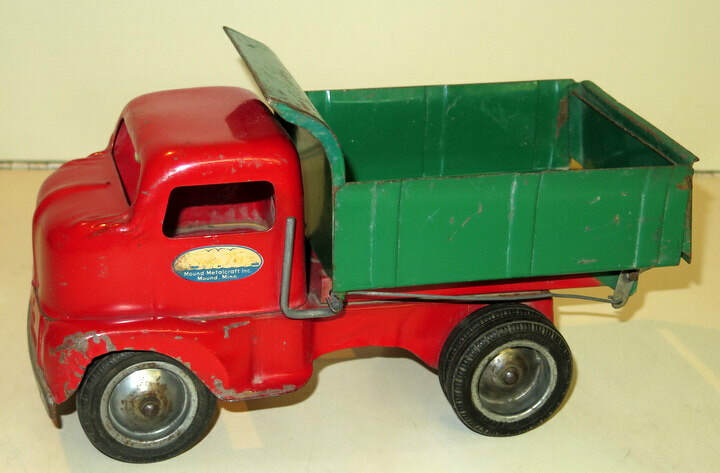 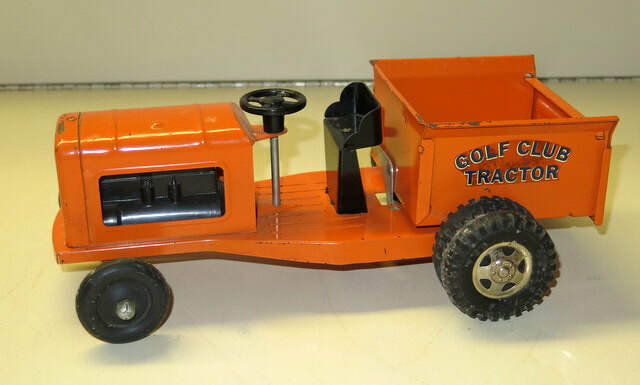 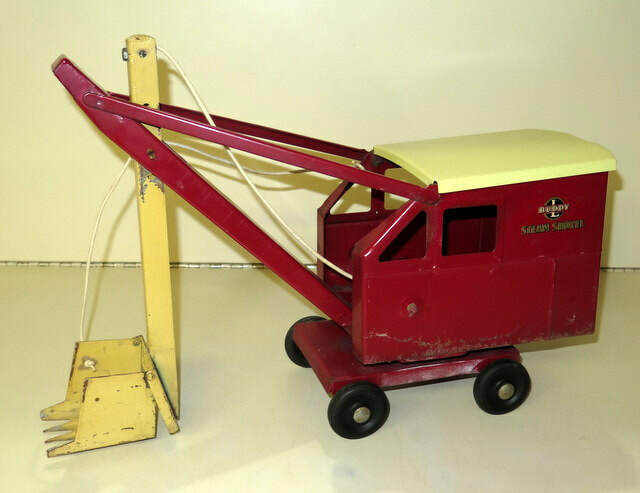 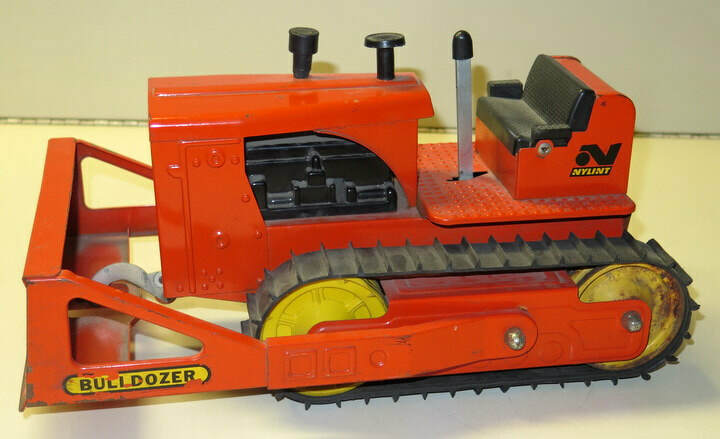 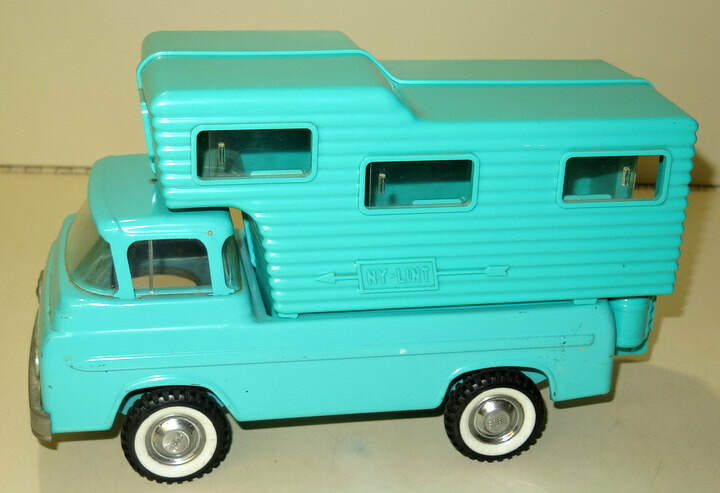 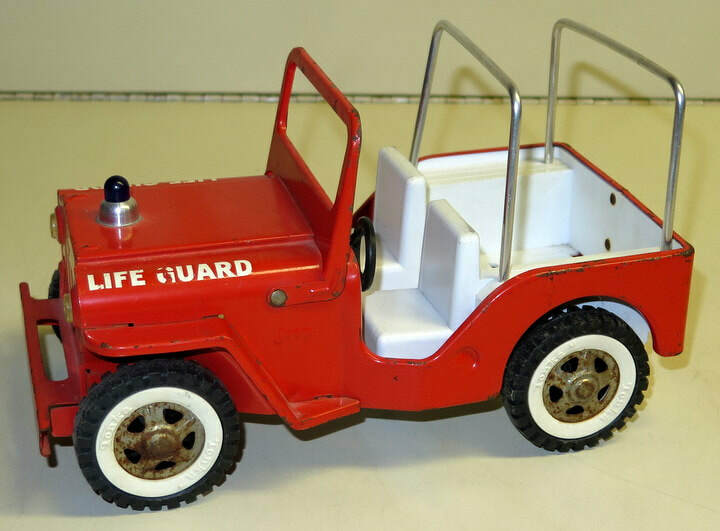 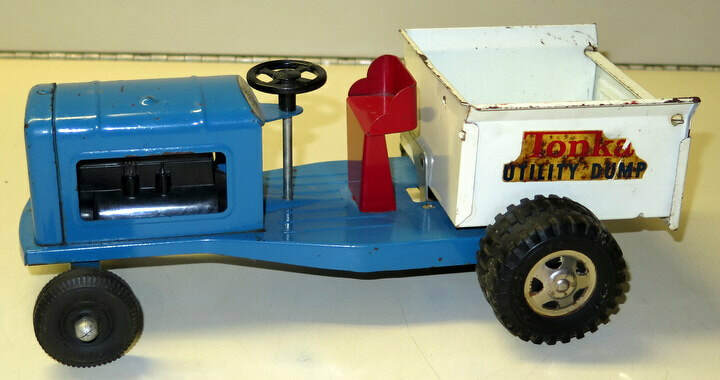 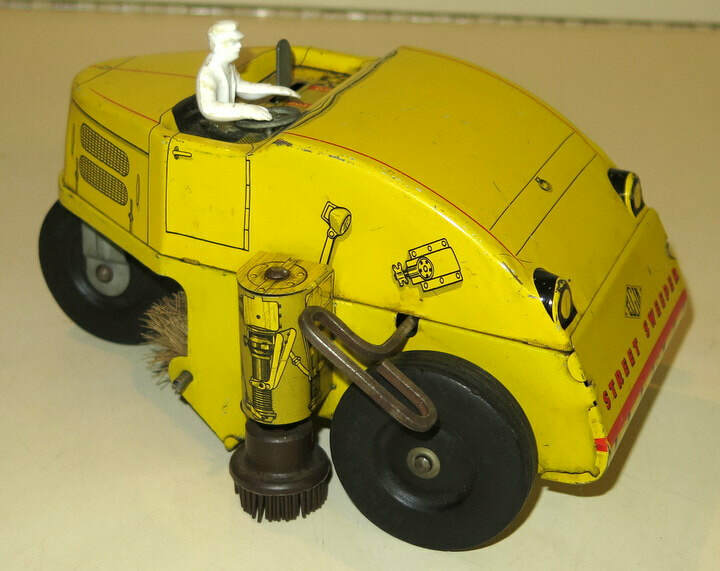 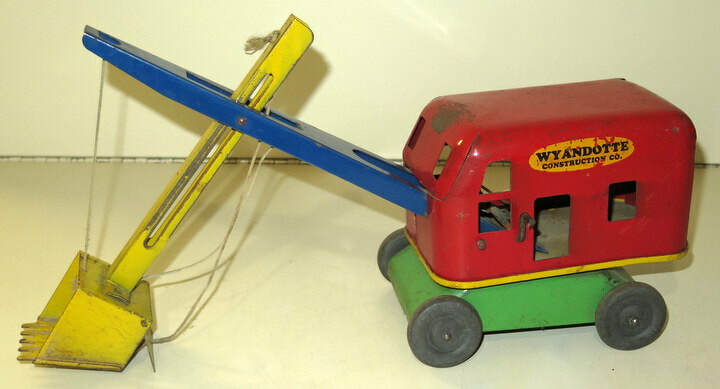 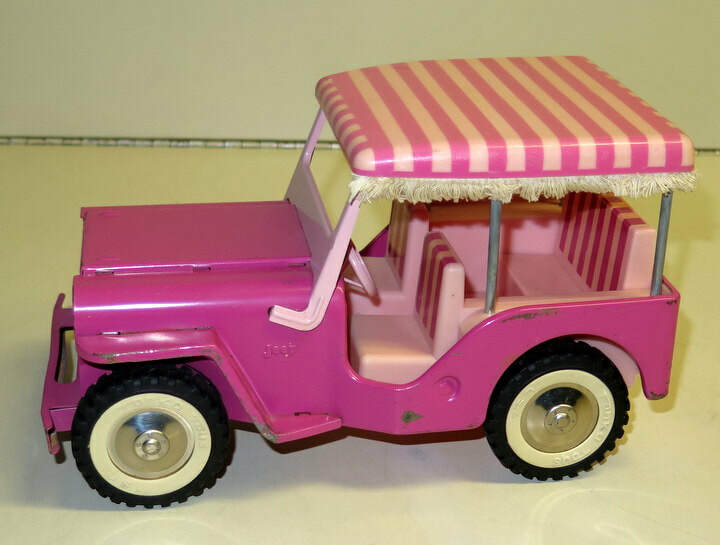 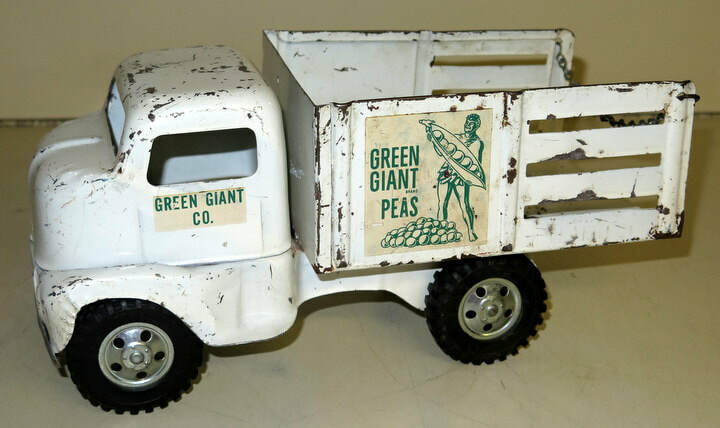 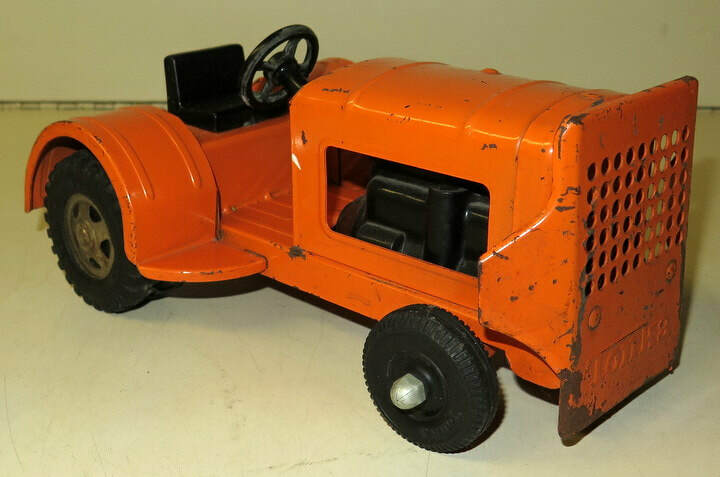 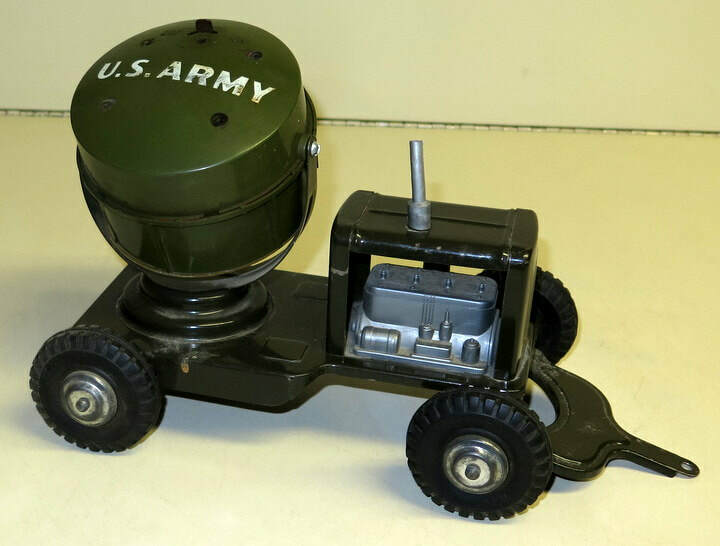 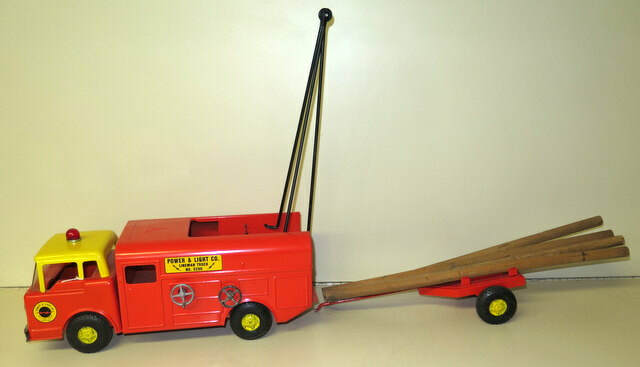 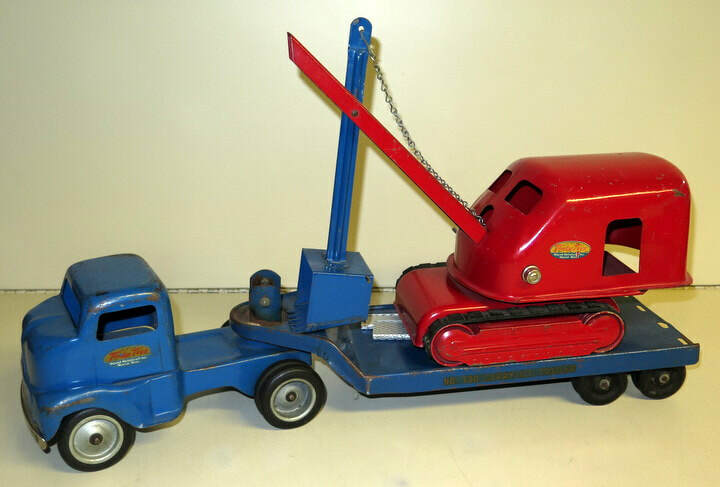 Join us for this great Spring Toy Truck auction! 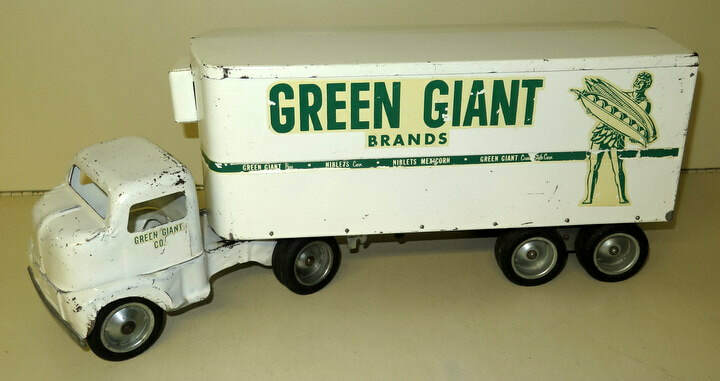 Live Internet bidding available through www.GirardBid.com! 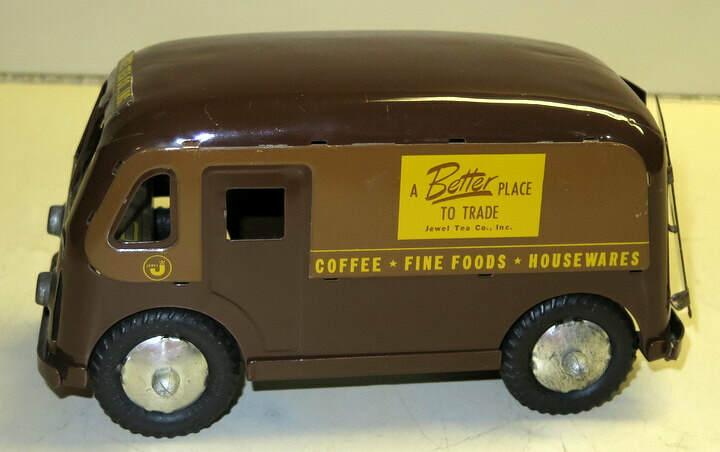 Bid there without being there! 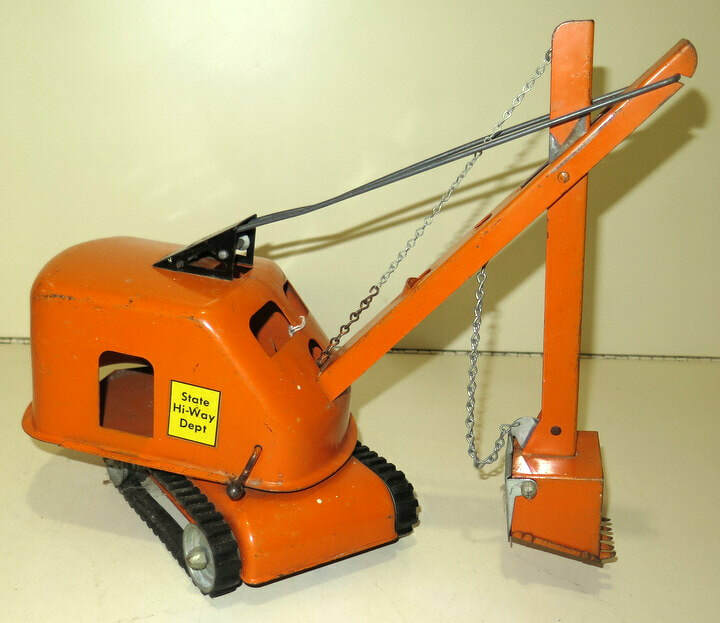 Cataloged posted approximately 2-weeks prior to the auction. 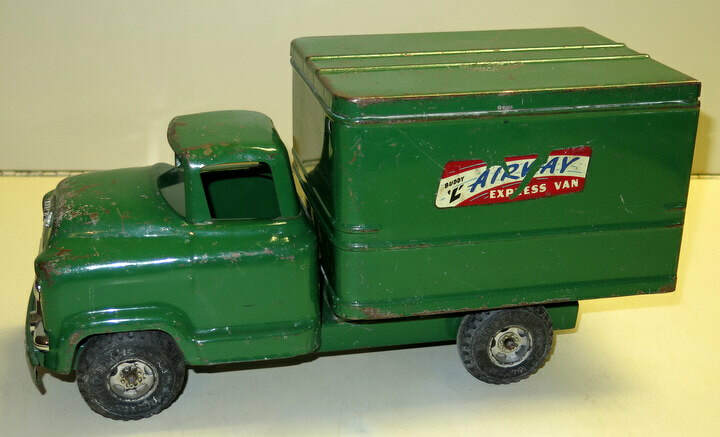 Terms: Cash, Good Check, Visa, & MasterCard. 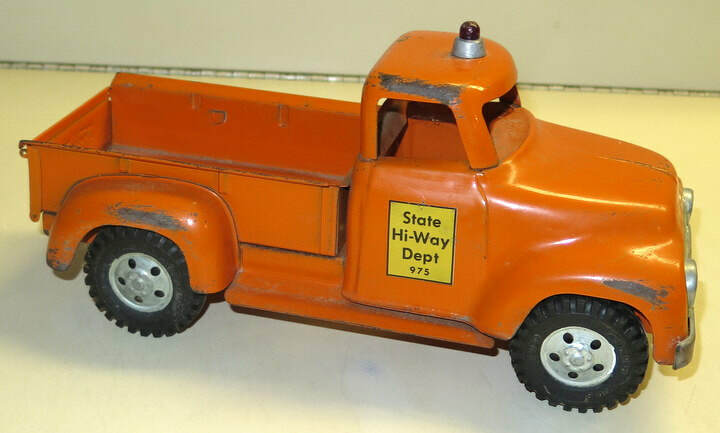 SD Sales tax applies. 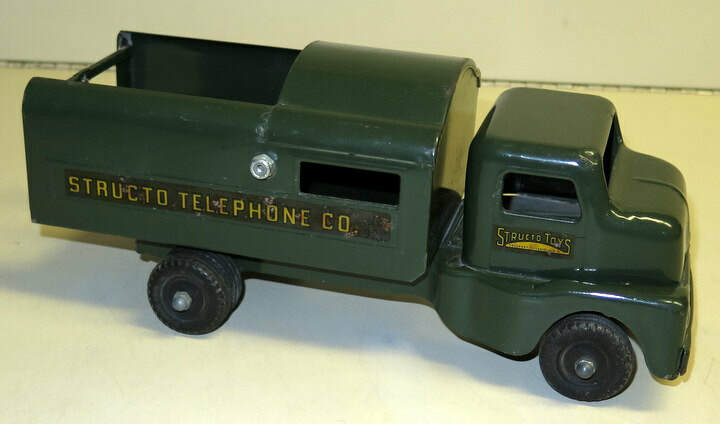 10% Buyer’s Premium on Internet, Absentee & Phone Bids. 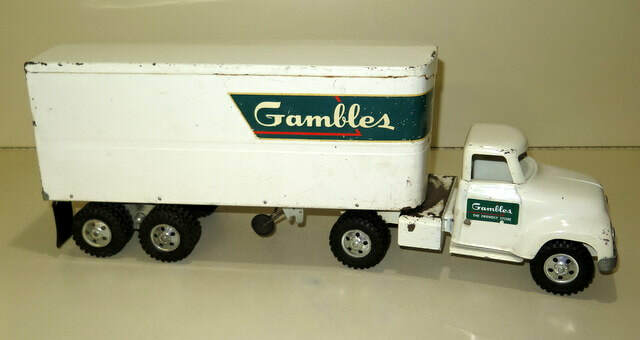 No onsite Buyer’s Premium.